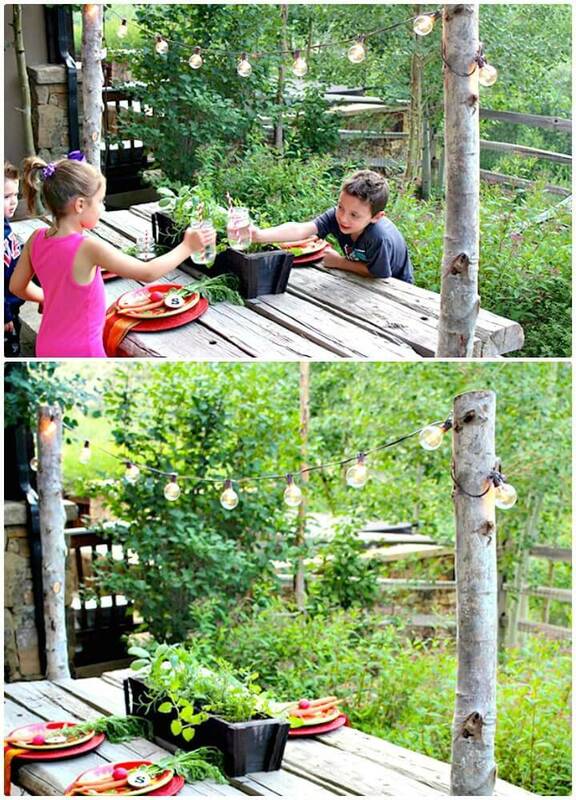 The outdoor is what that makes us live a very healthy party of living by providing fresh air and atmosphere! 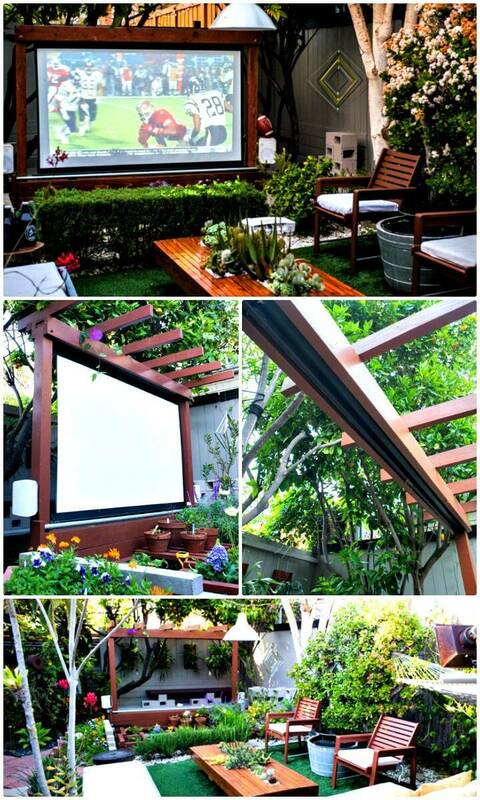 If you are the big fan of naturally occurring scenes, then you must also be at outdoor to see some amazingly beautiful phenomenon of nature! 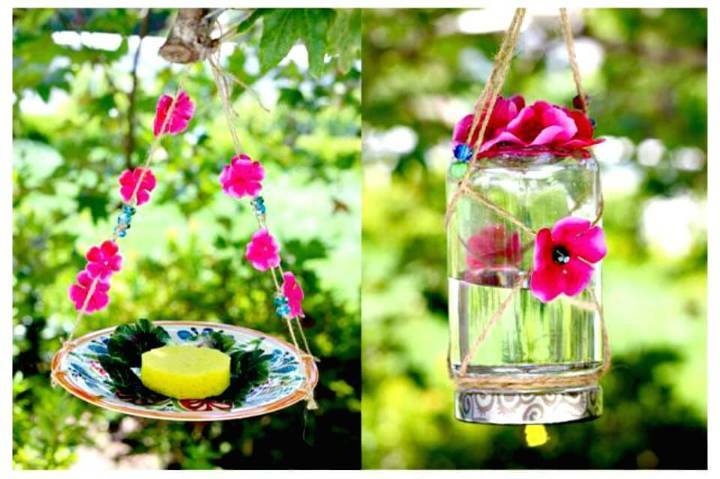 So, along with getting the fresh breaths that soothe your nerves, the backyards and gardens also win your heart with beautiful colorful flowers and even with the songs the chirping creature sings! 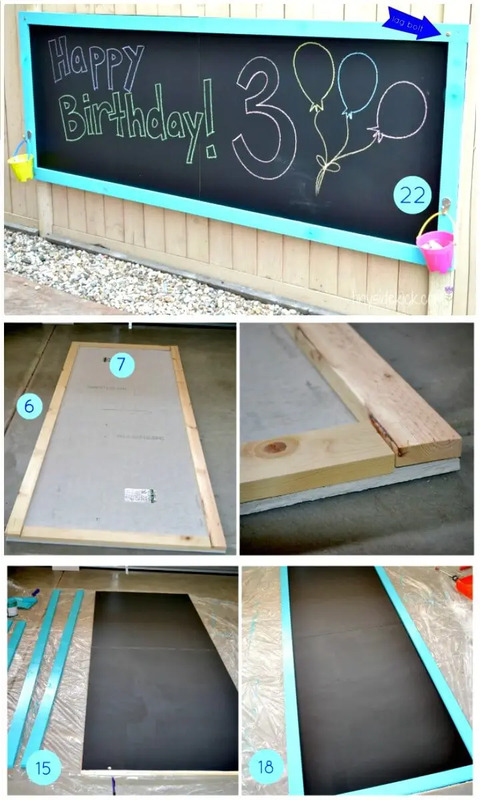 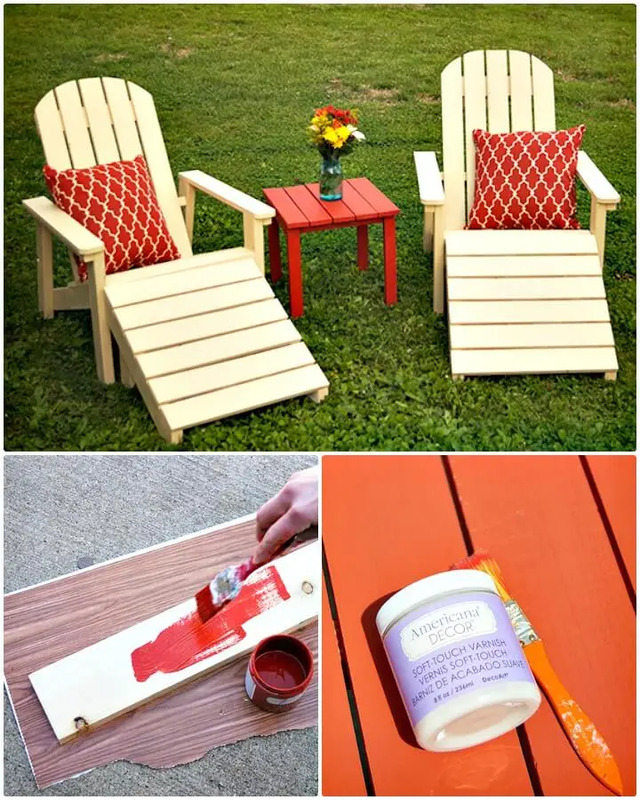 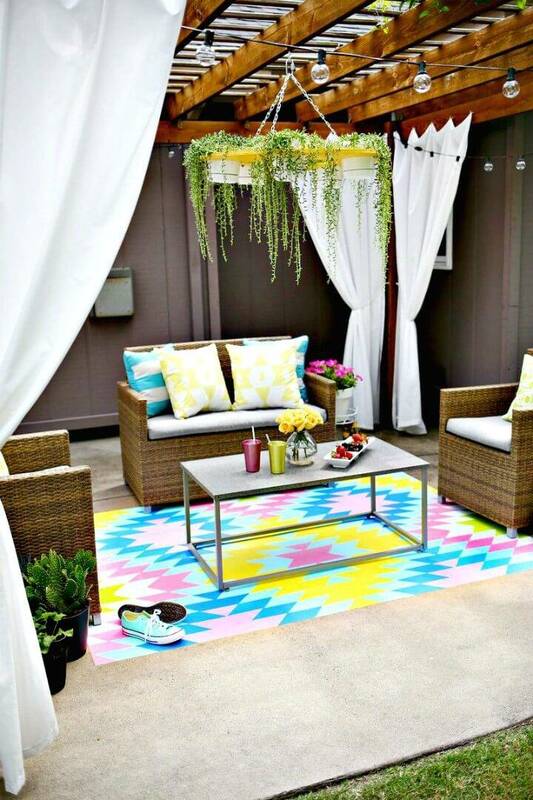 To enjoy all these fun affairs, you must develop your outdoors beautifully, and here we are with these 110 DIY Backyard Ideas to try out this spring & summer that will help to turn your backyard into mini heaven without getting expensive! 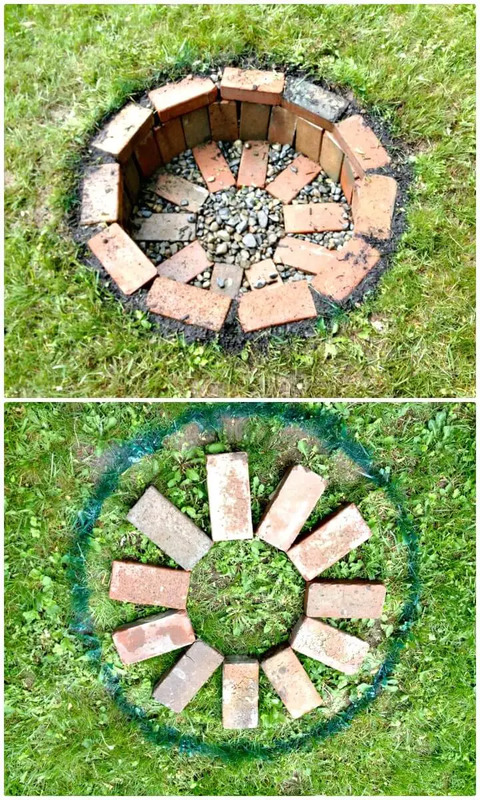 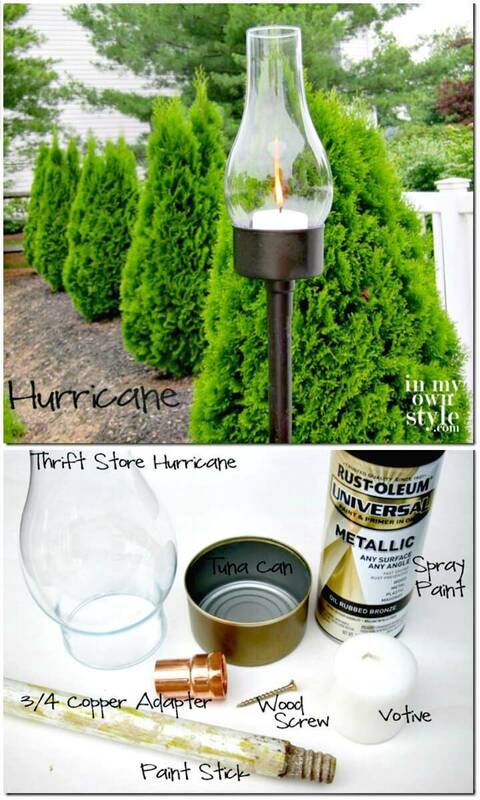 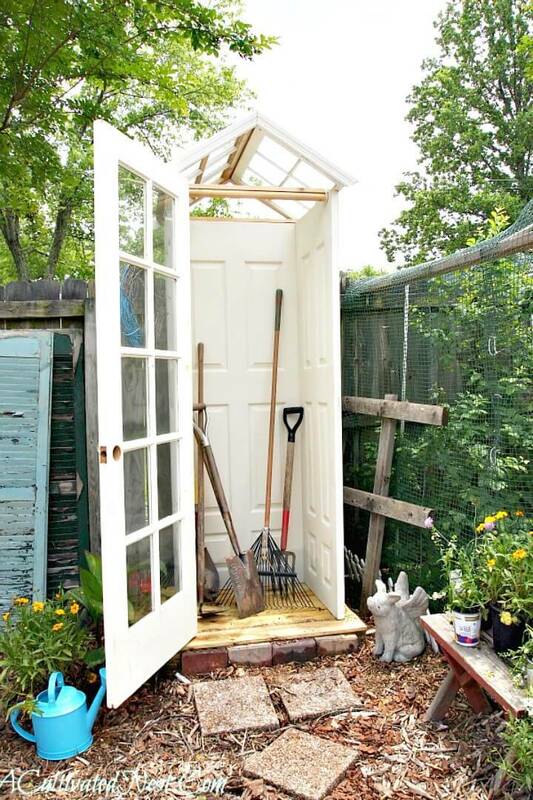 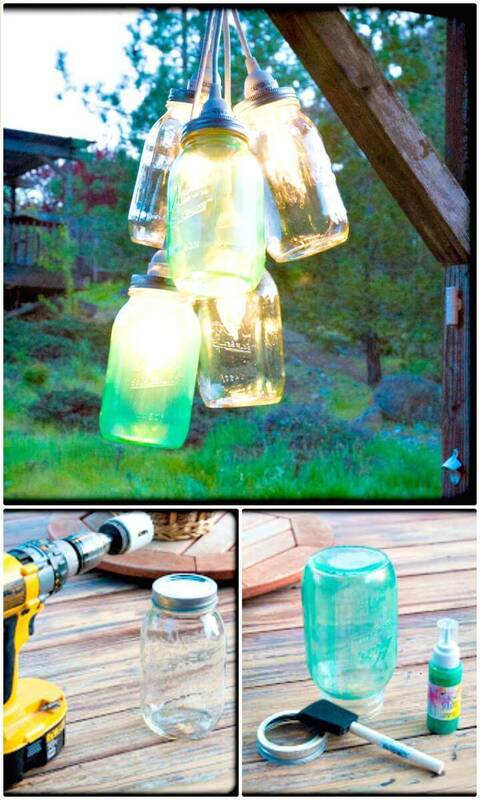 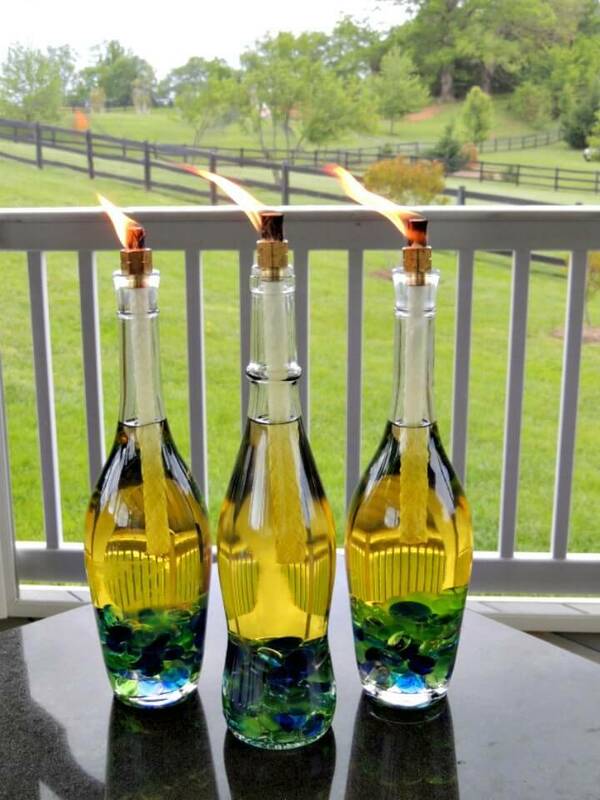 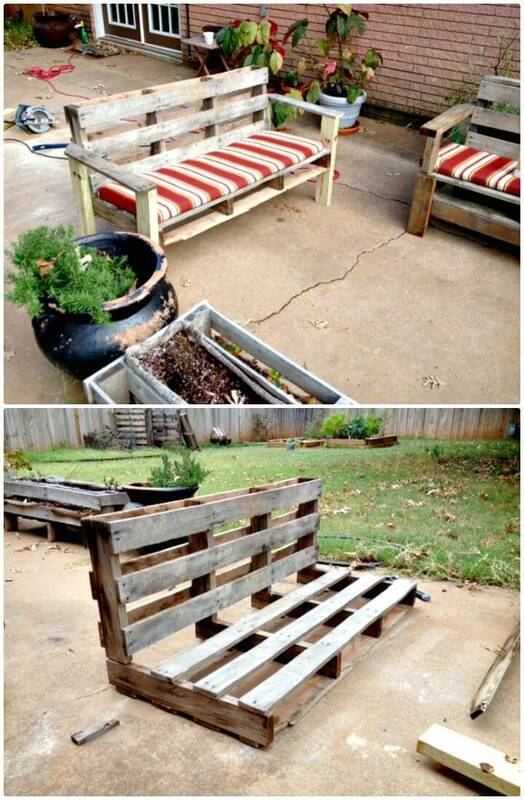 Here most of these DIY backyard ideas and projects have been done with the recycled materials, and that’s why they are all cost efficient! 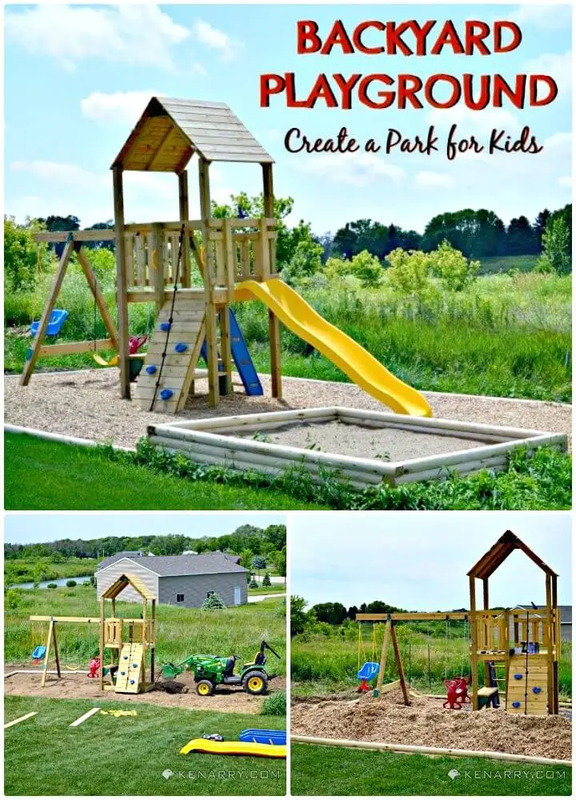 Turn your backyards into brilliant kids fun stations by installing custom playhouses that will come with slides and swings! 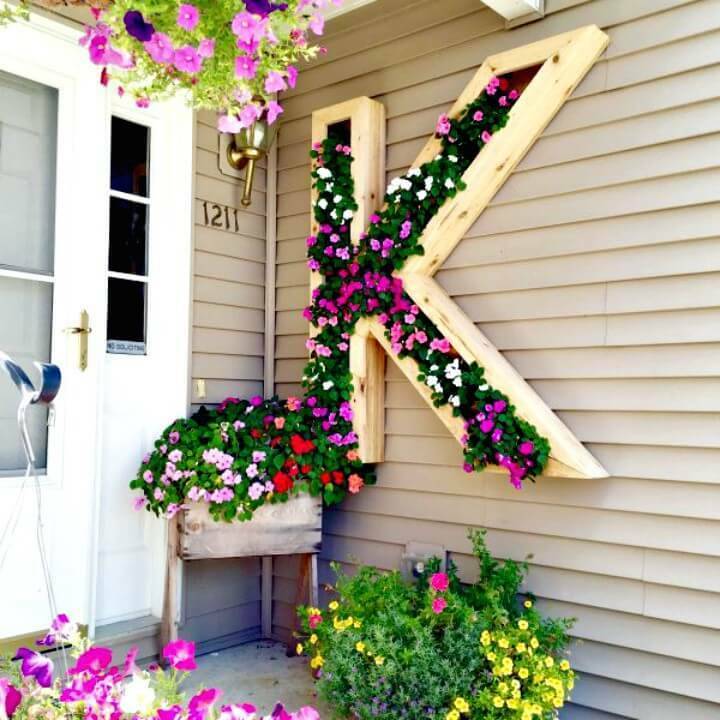 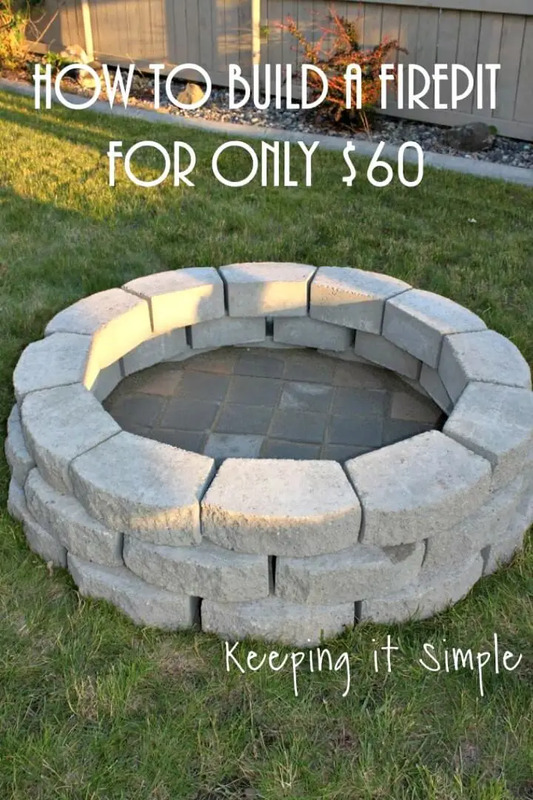 Give a personal statement to your garden by building monogram wall planters and also install the outdoor theaters to enjoy movies in your backyard with the friends and family members! 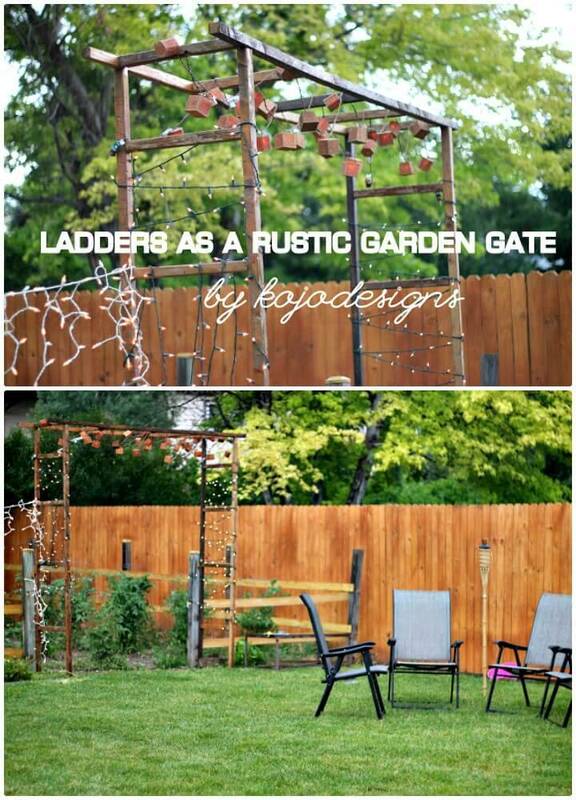 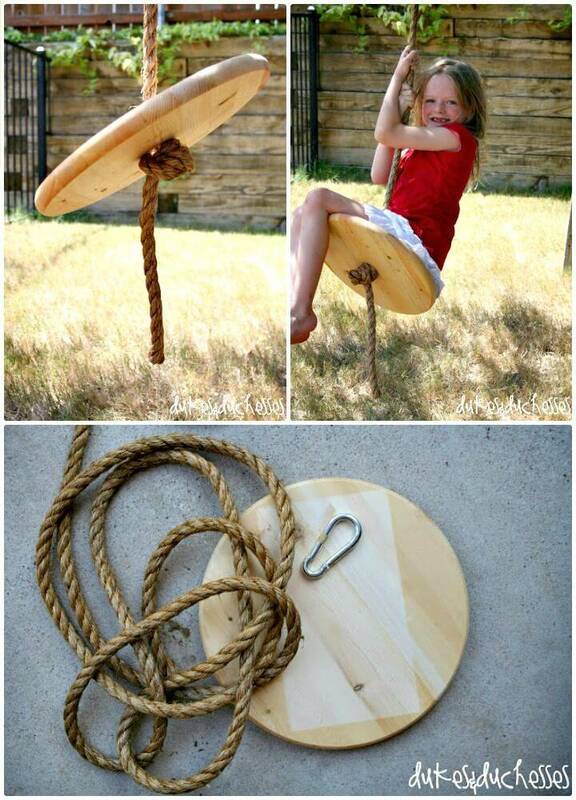 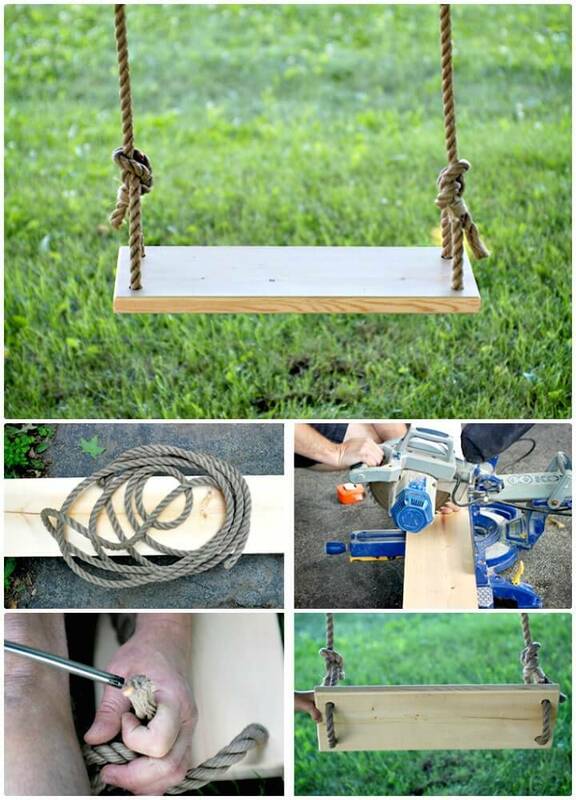 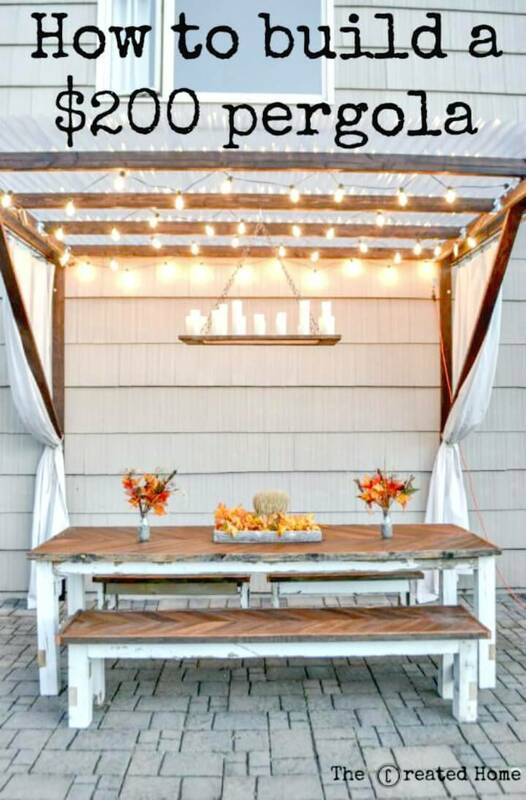 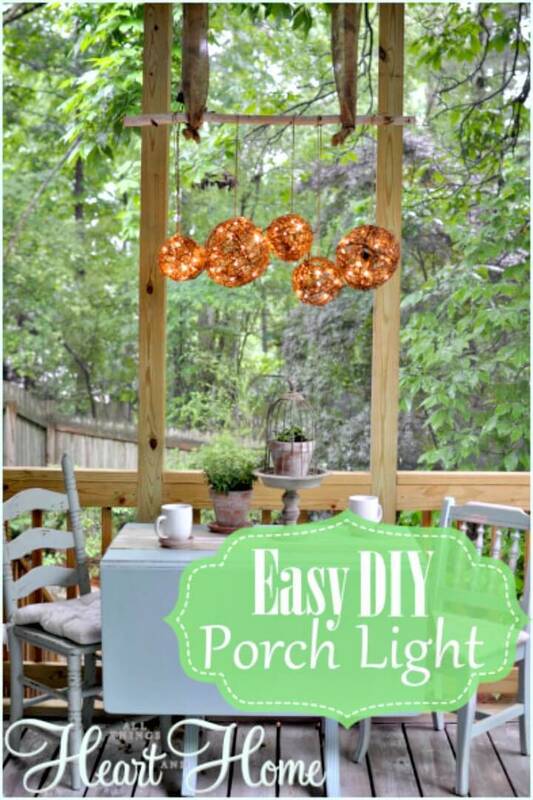 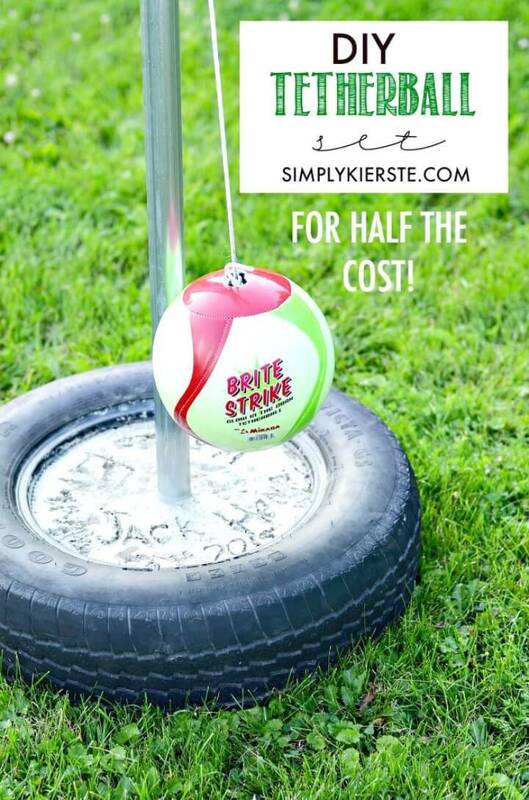 Create fantastic reading nooks in your garden or backyard by installing hanging swing bed and make unique string pole light that will come to your backyard dining table and will make you enjoy the backyard night dinners more! 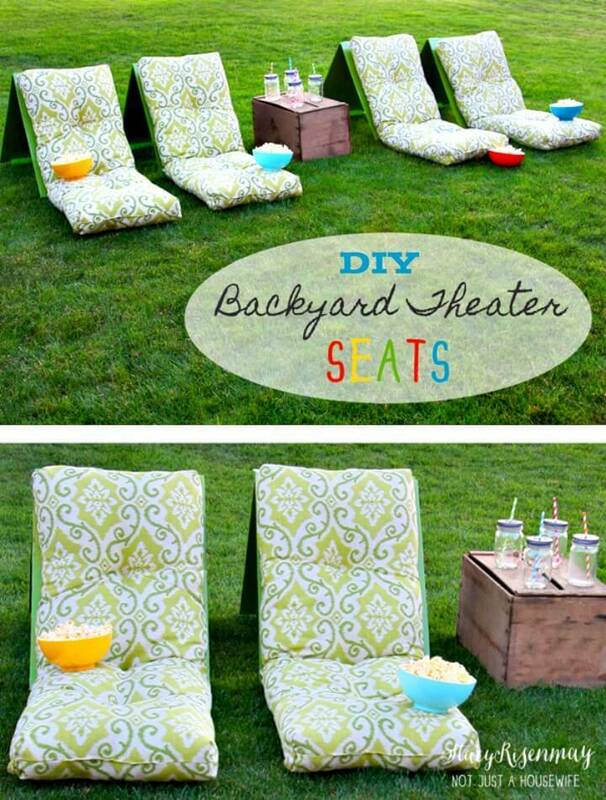 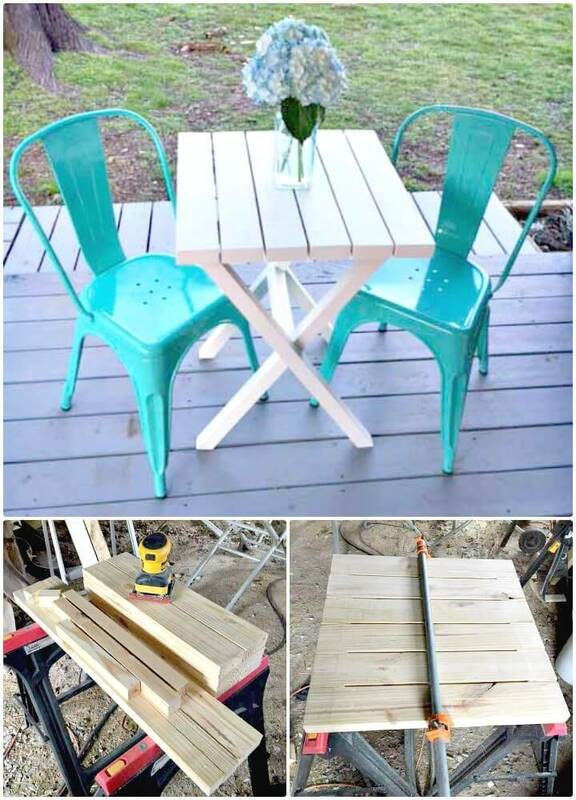 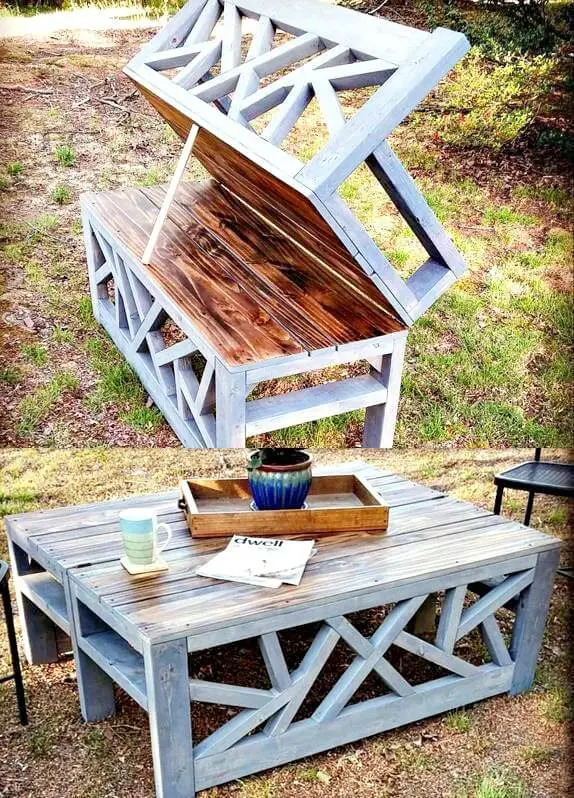 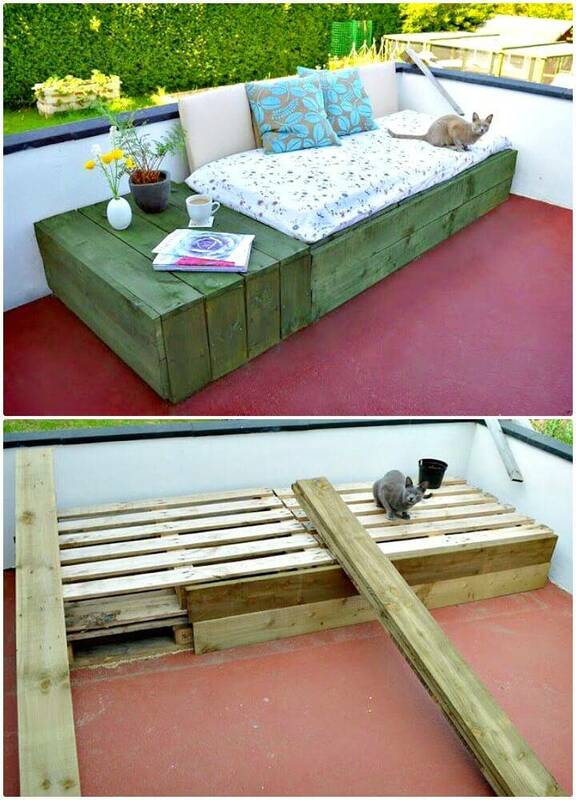 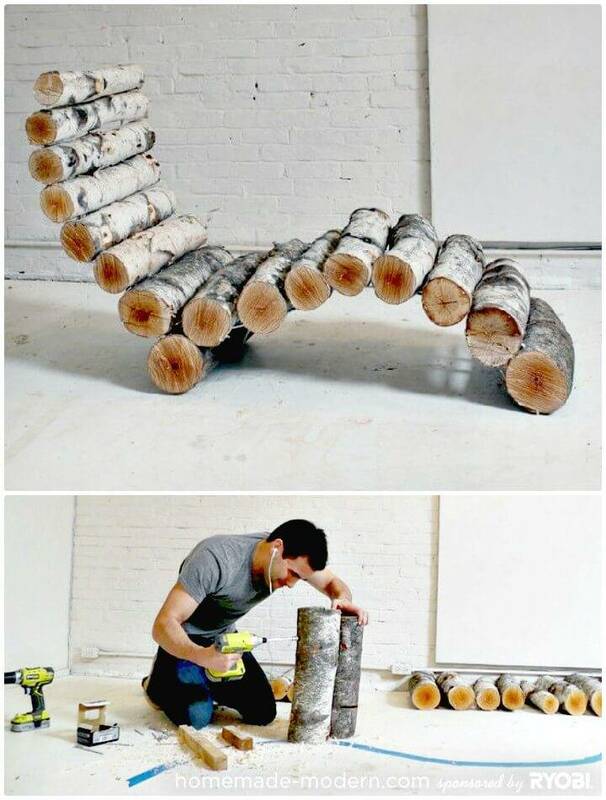 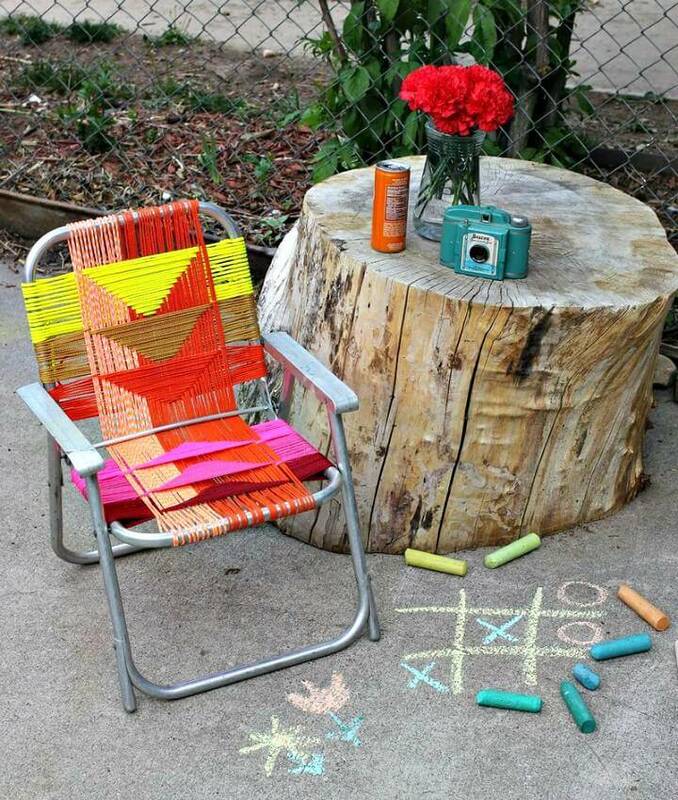 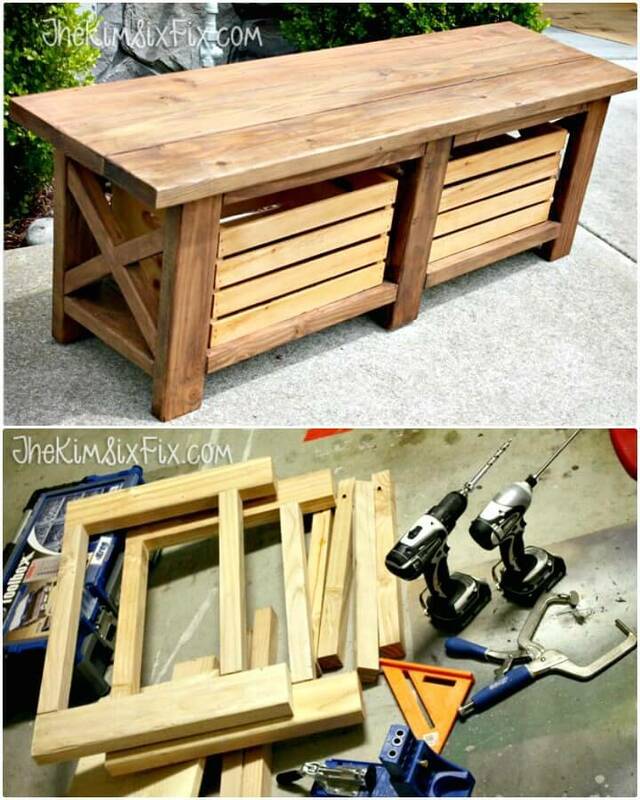 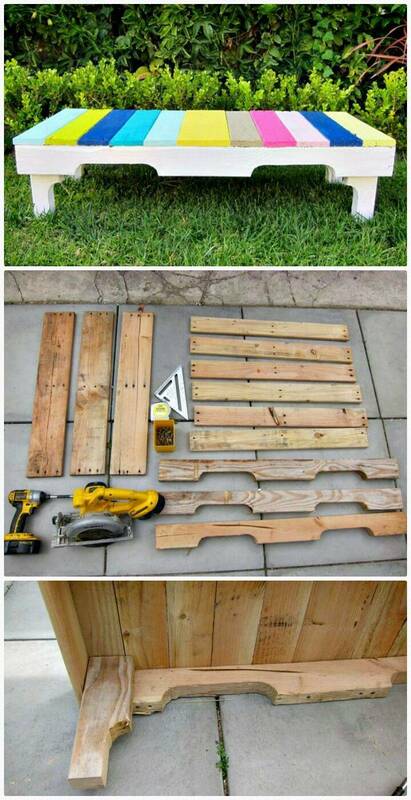 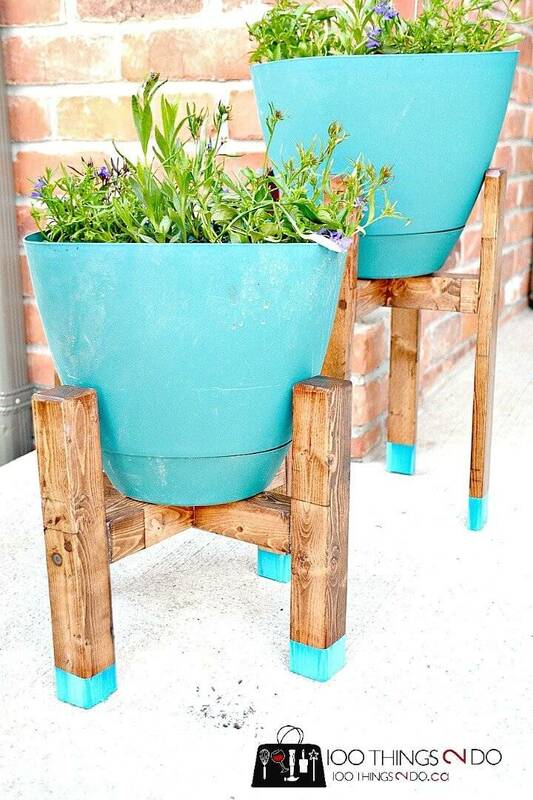 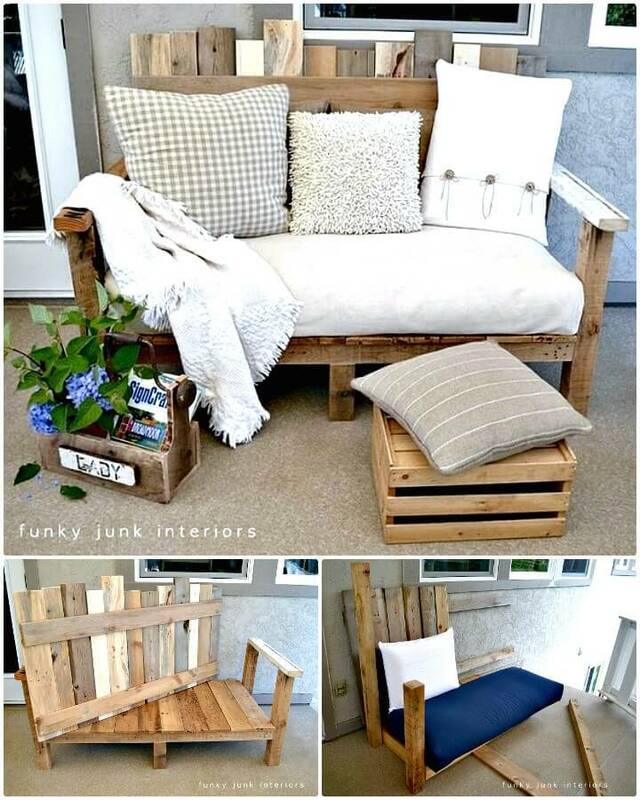 Accomplish also your backyard sitting furniture needs using your creativity and recycled wood! 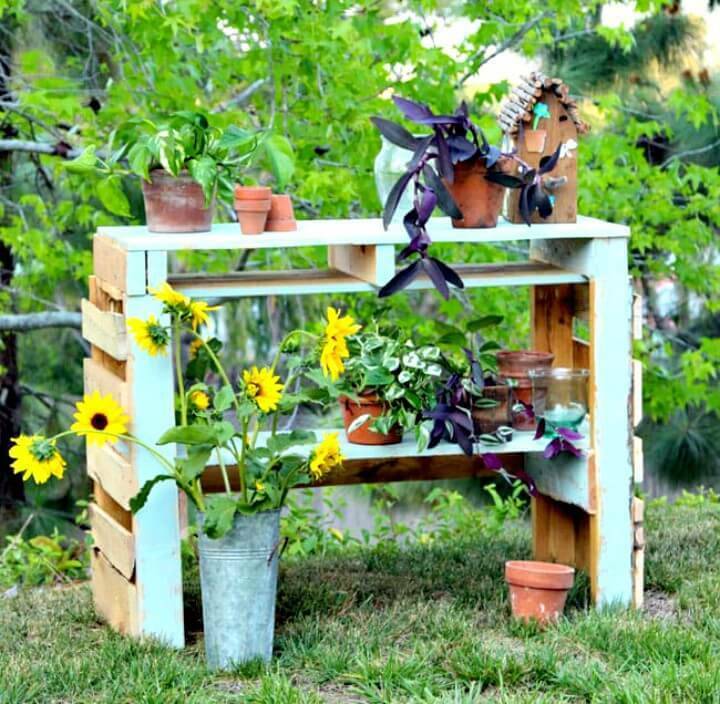 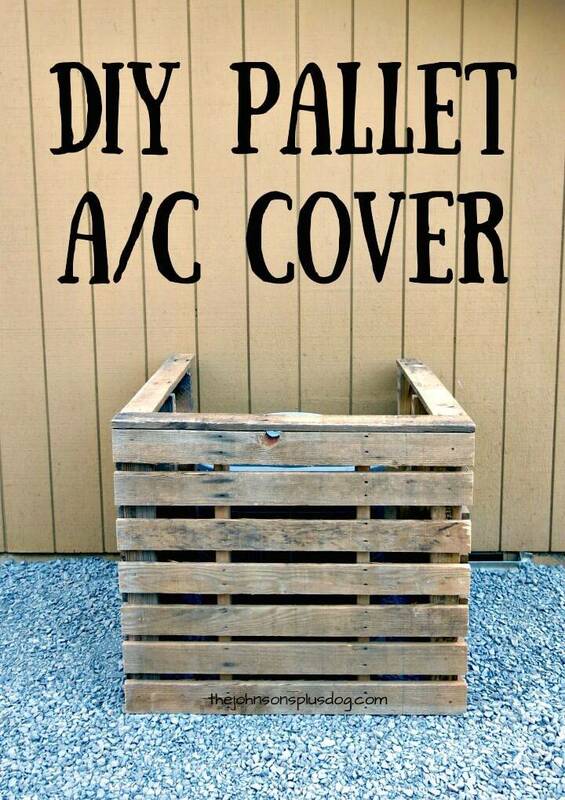 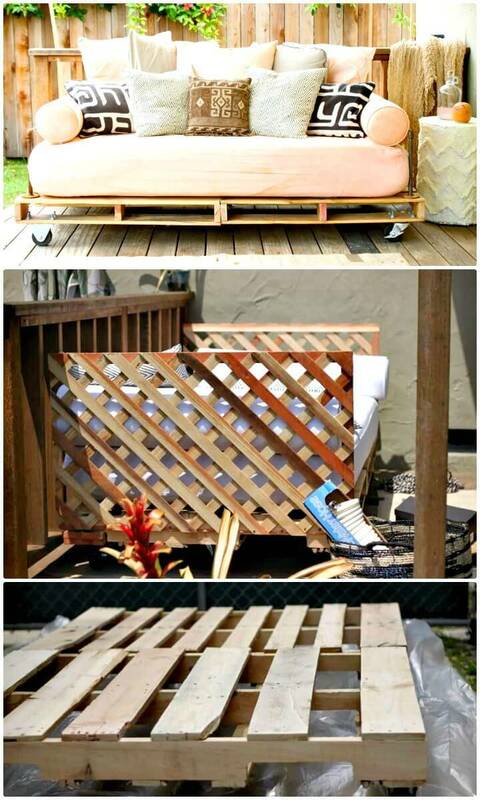 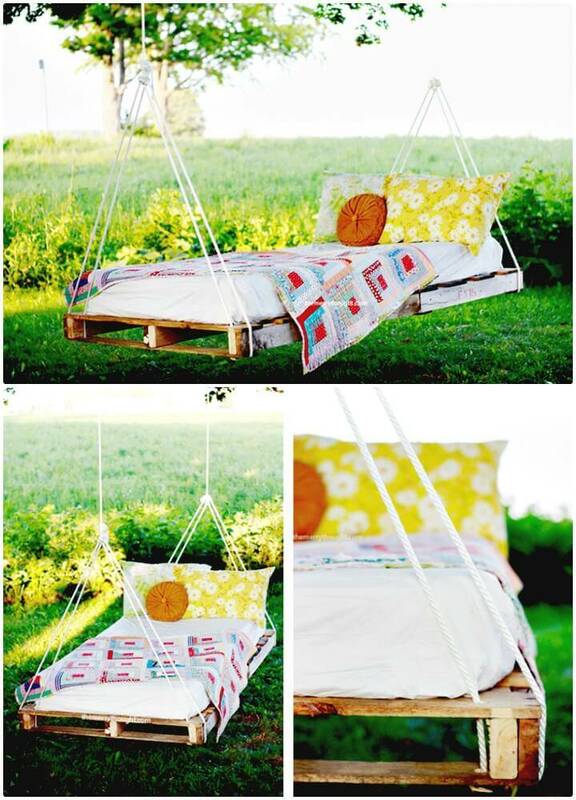 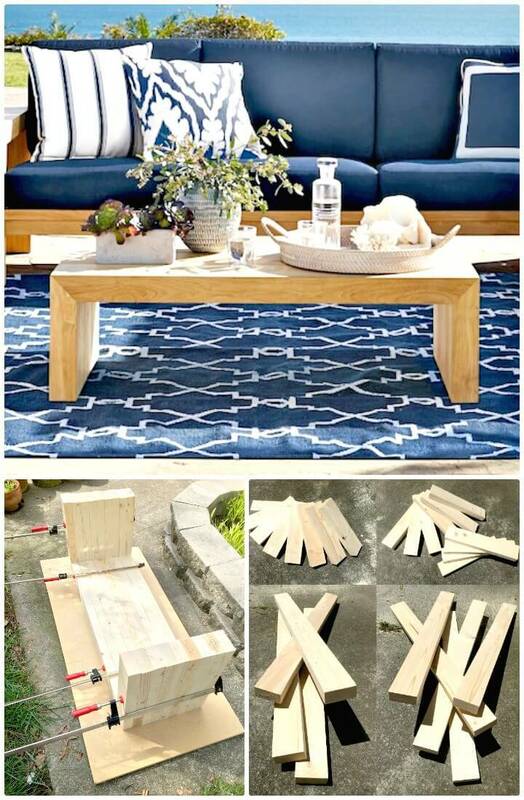 Go handmade with pallets and build amusing day beds that may also come on wheels for easy rolling! 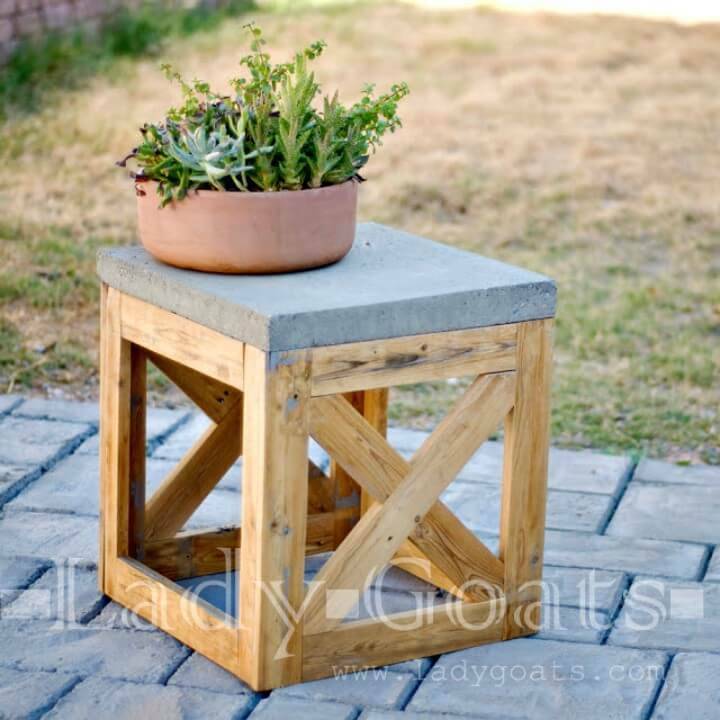 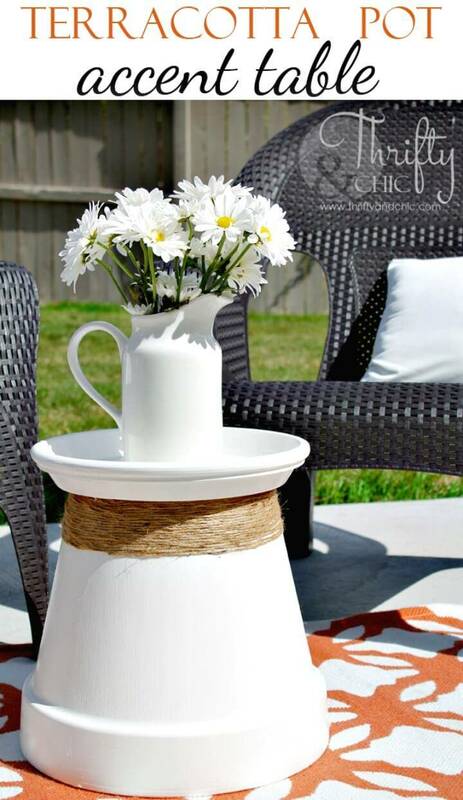 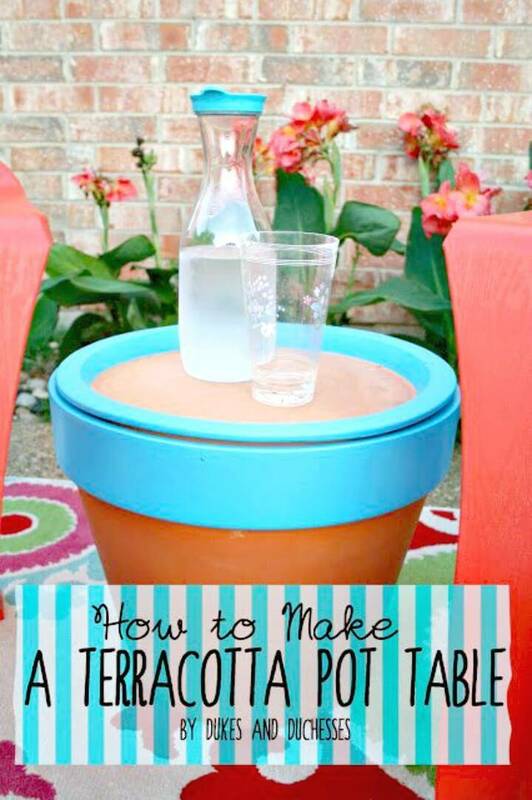 Make custom wooden side tables with concrete tops and also use the terracotta pots and saucers to create instant end tables for your backyard sitting furniture! 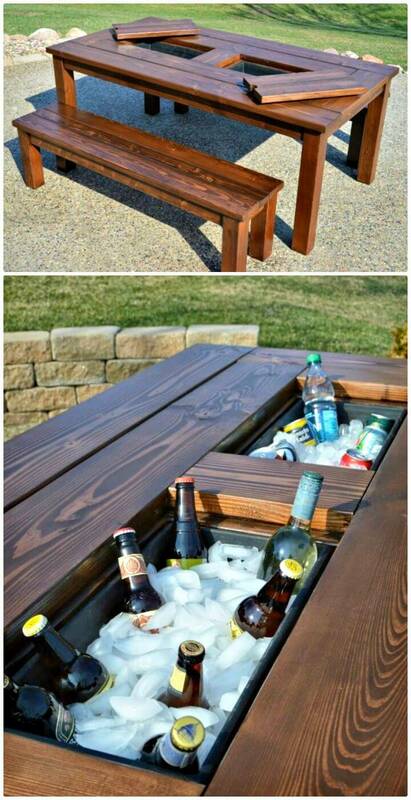 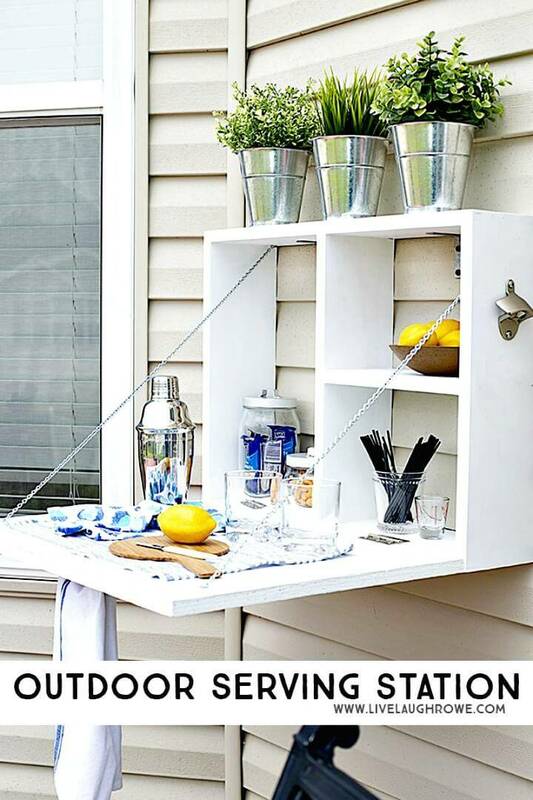 If you are concerned with the backyard parties, then you can also build the backyard ice bucket tables at home and also duplicate the bistro style coffee table for your backyard that will also rock in your backyard! 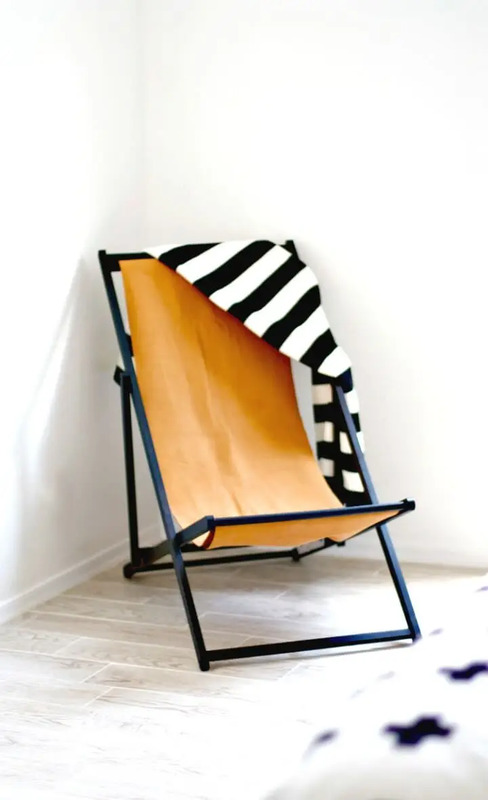 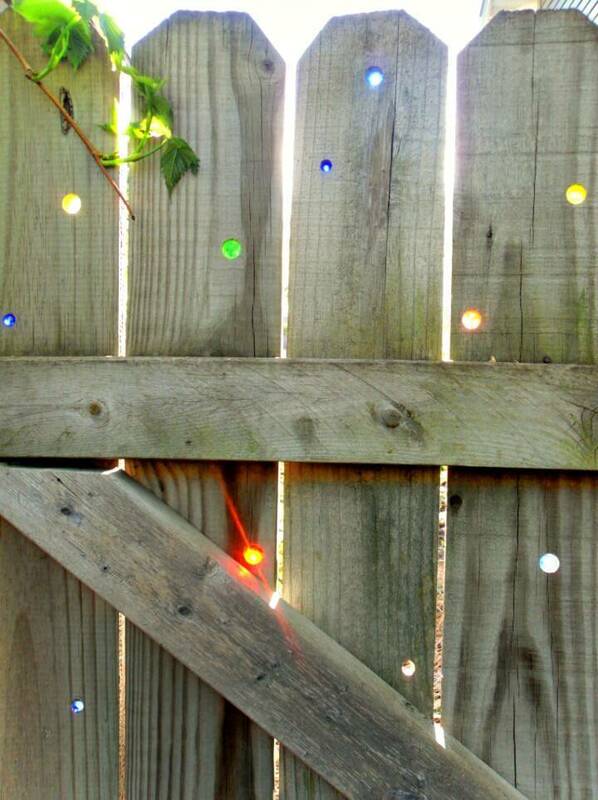 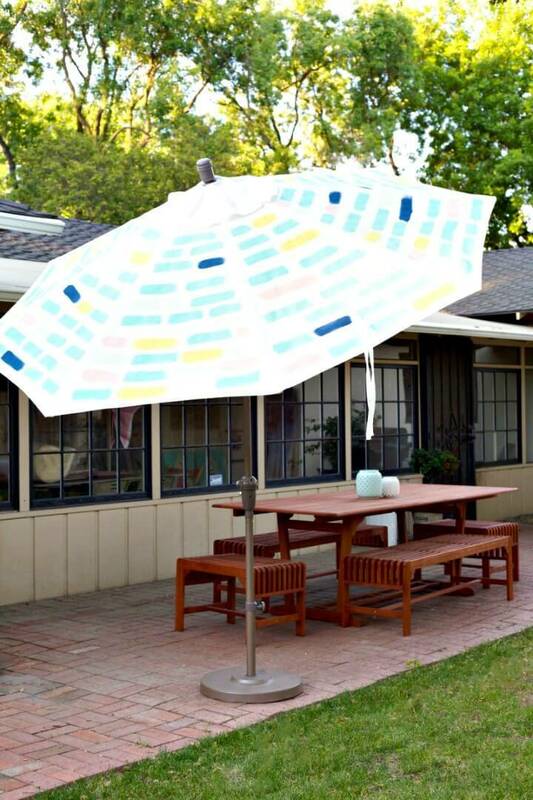 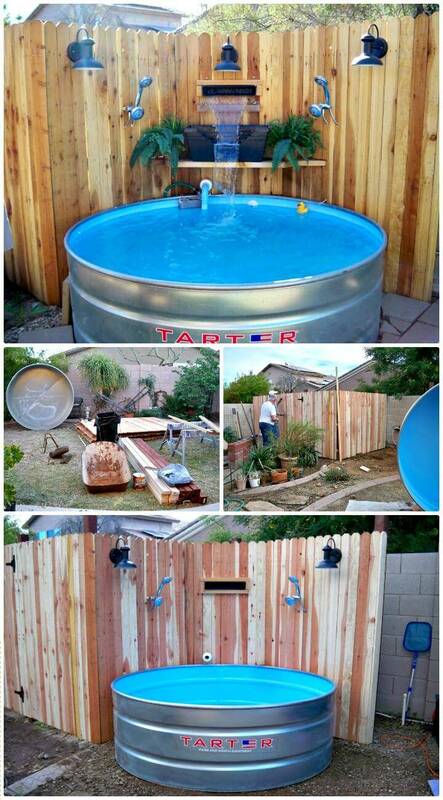 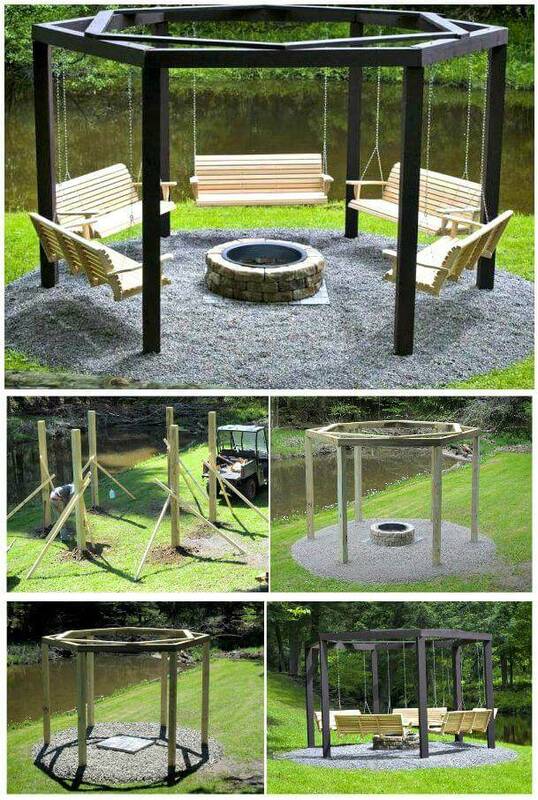 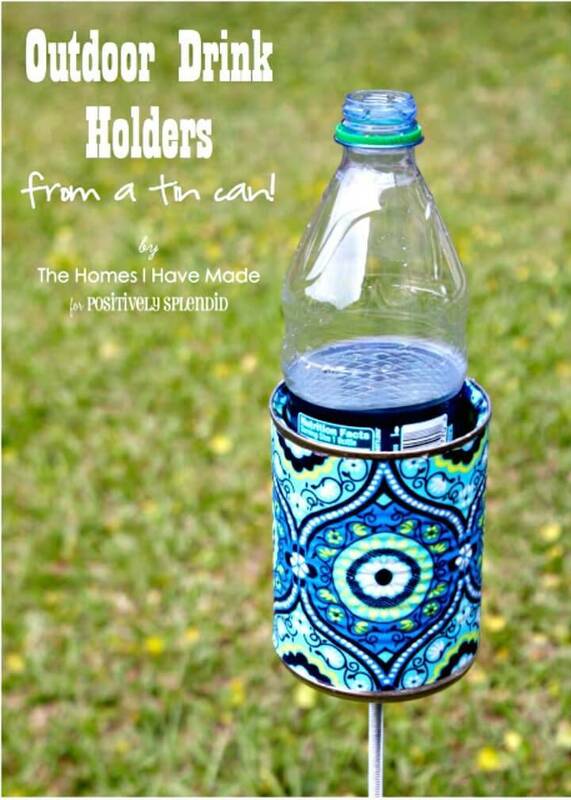 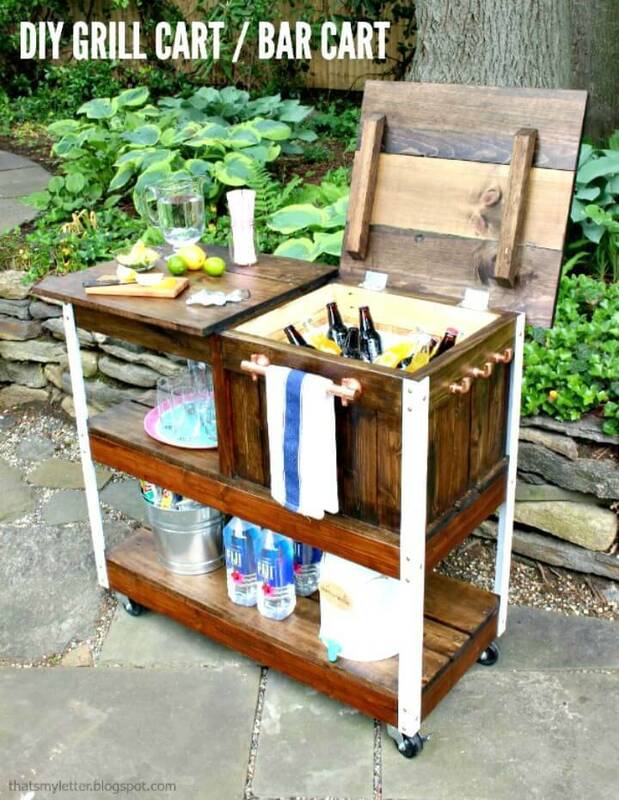 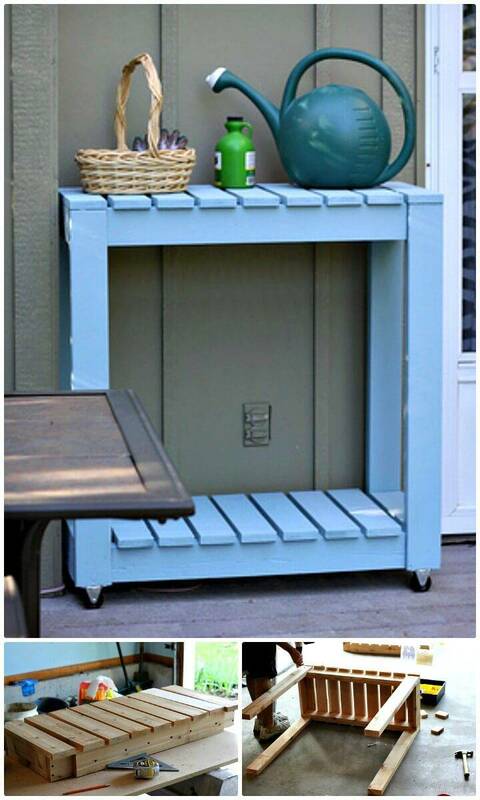 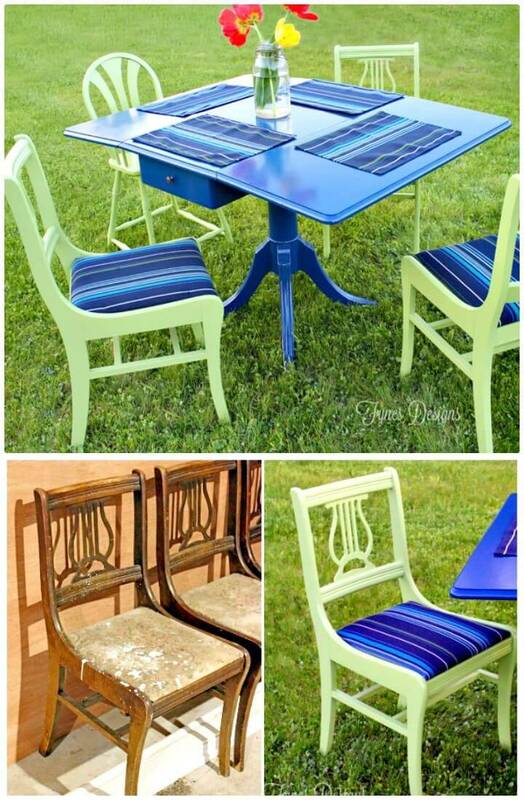 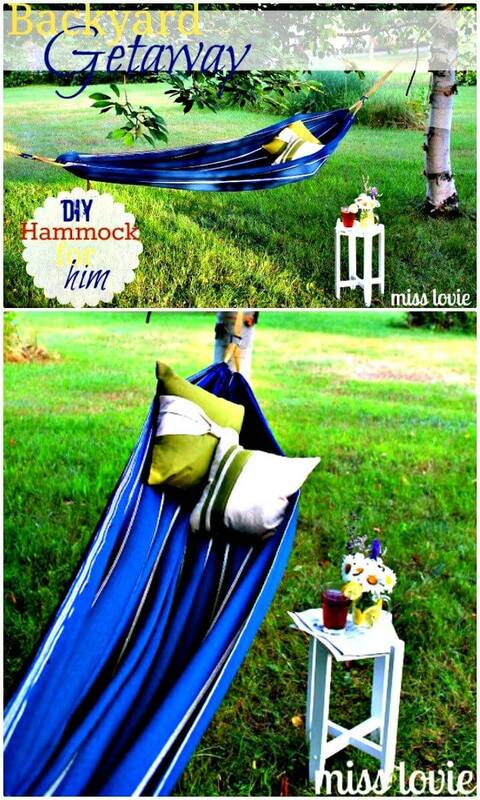 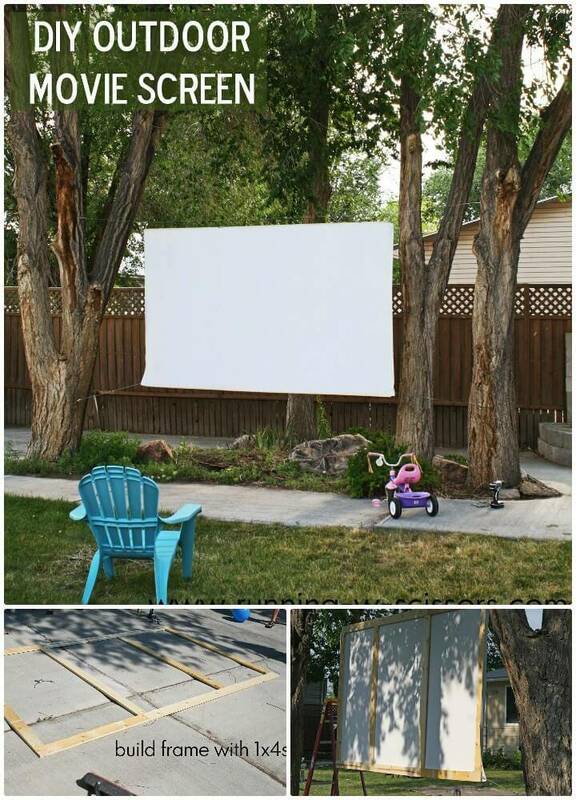 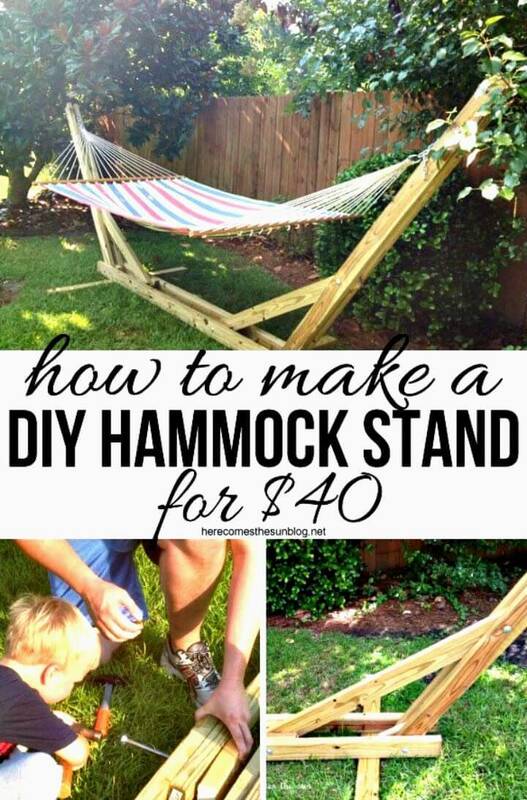 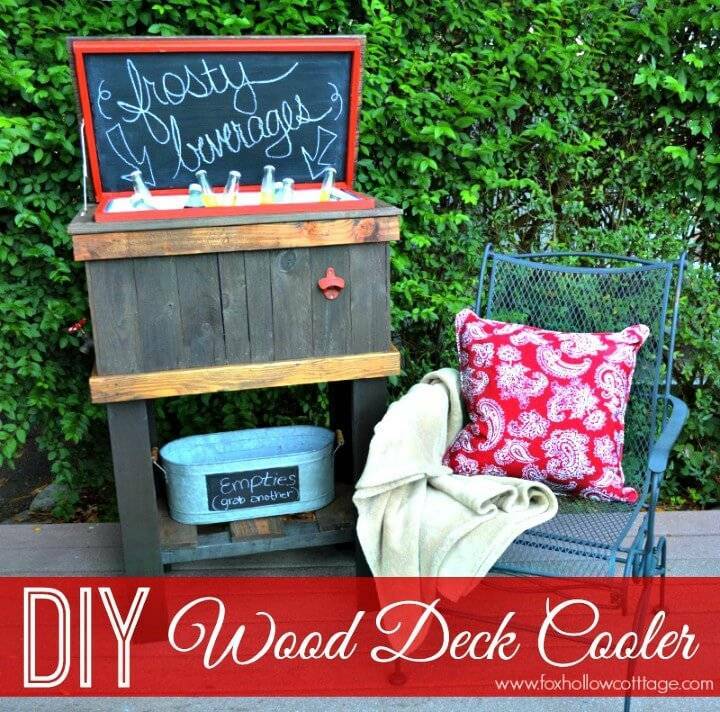 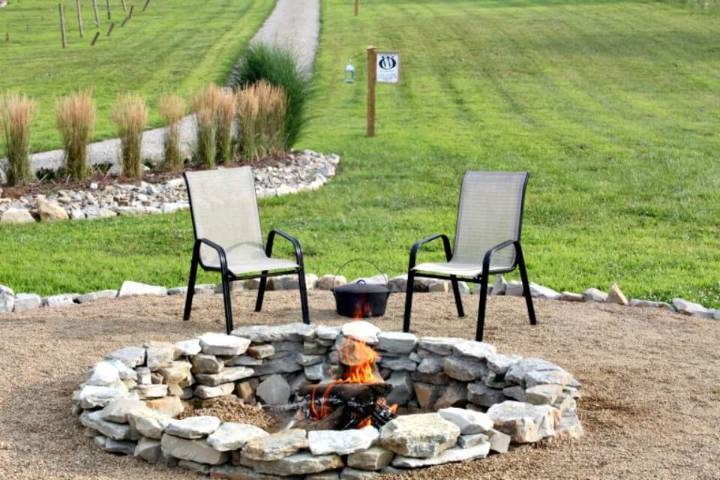 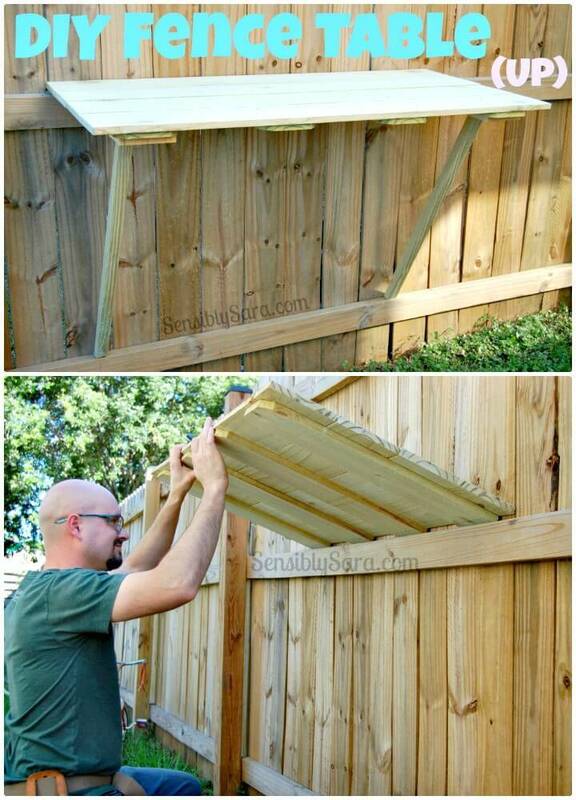 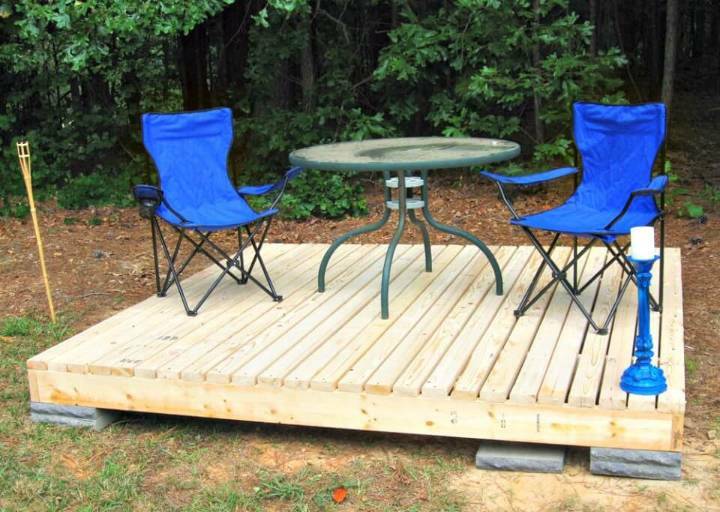 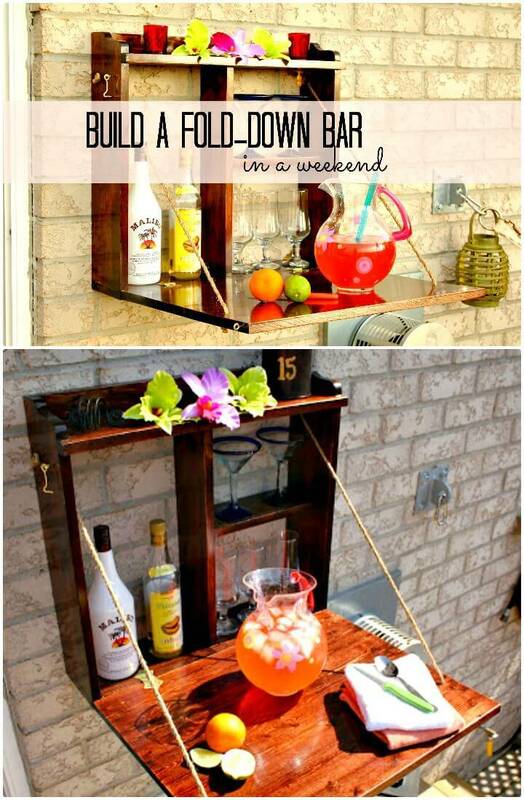 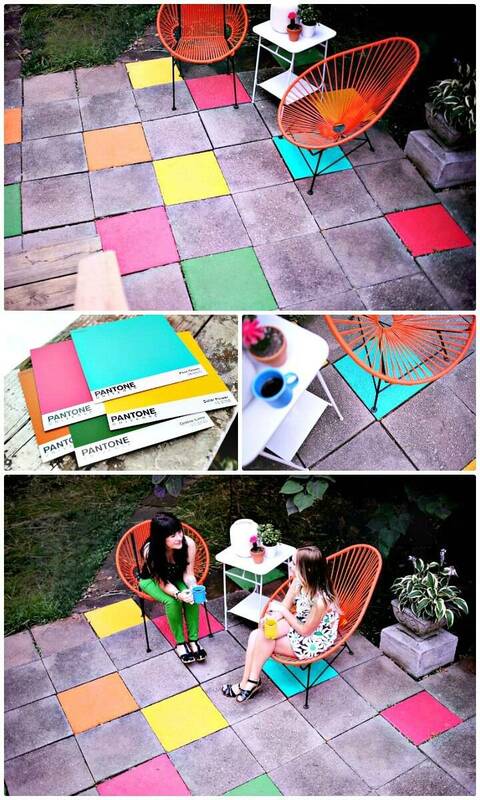 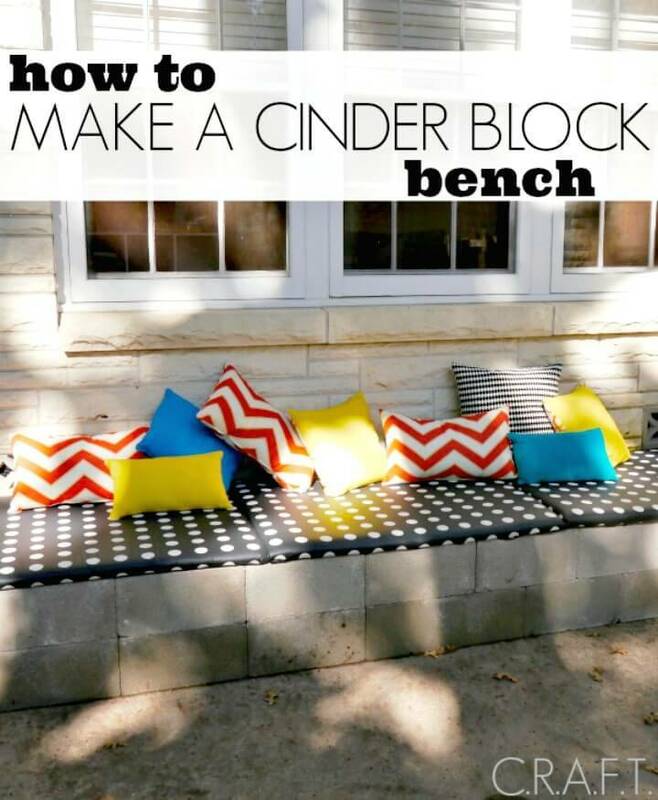 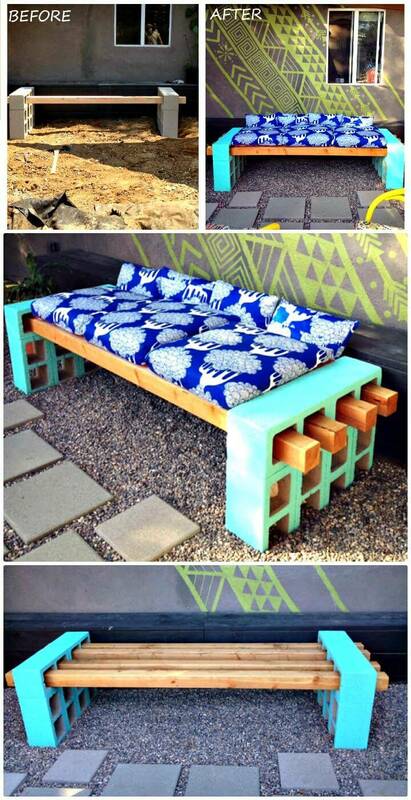 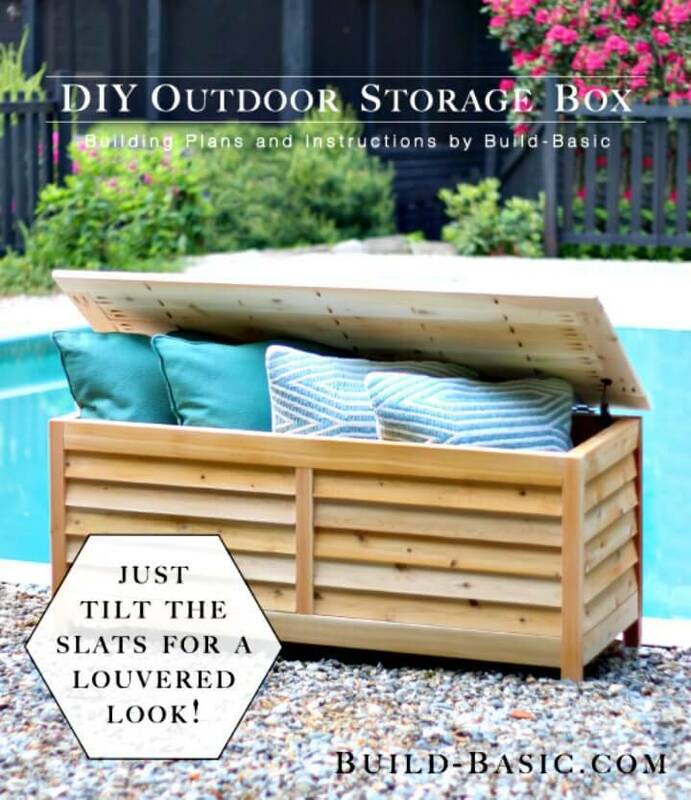 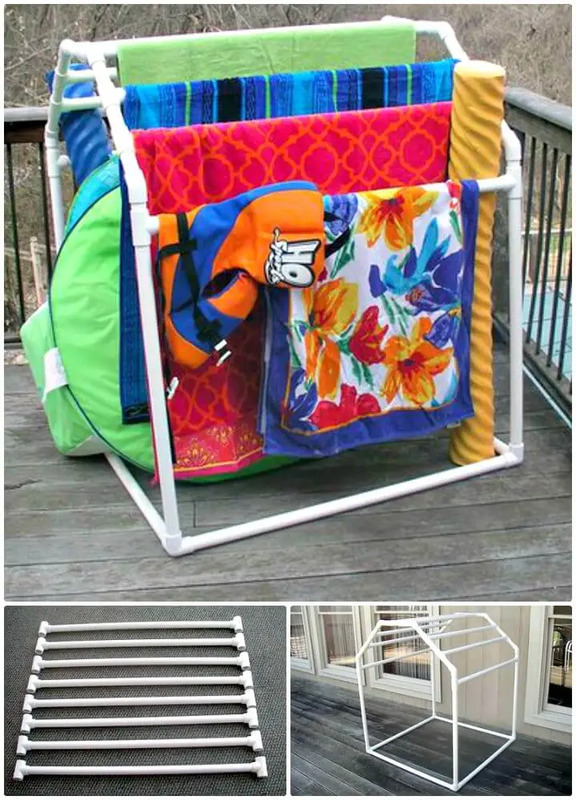 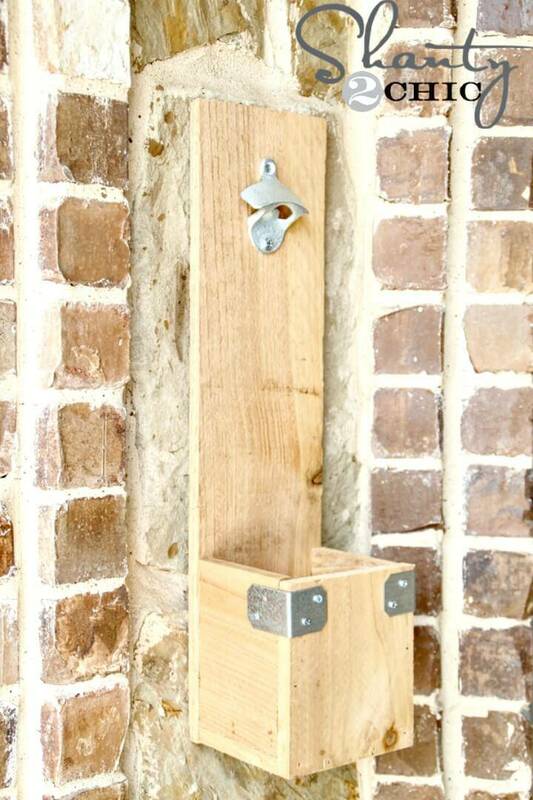 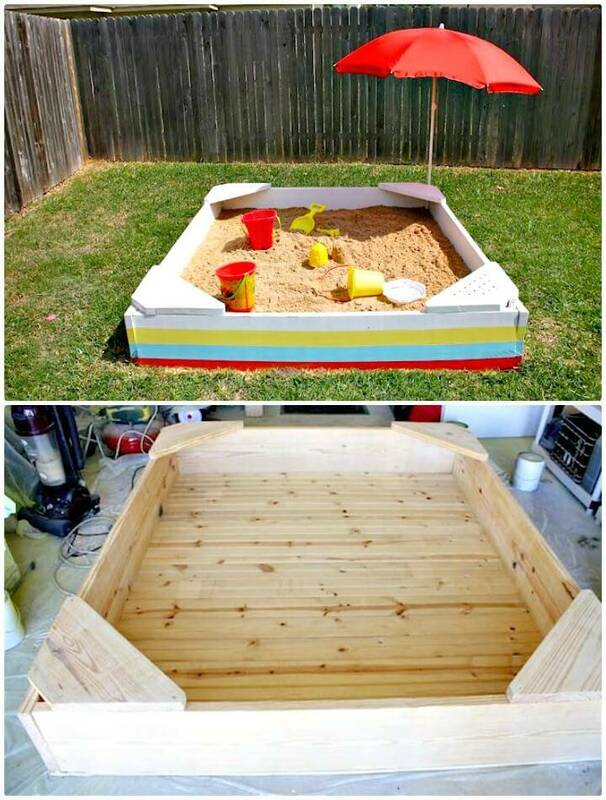 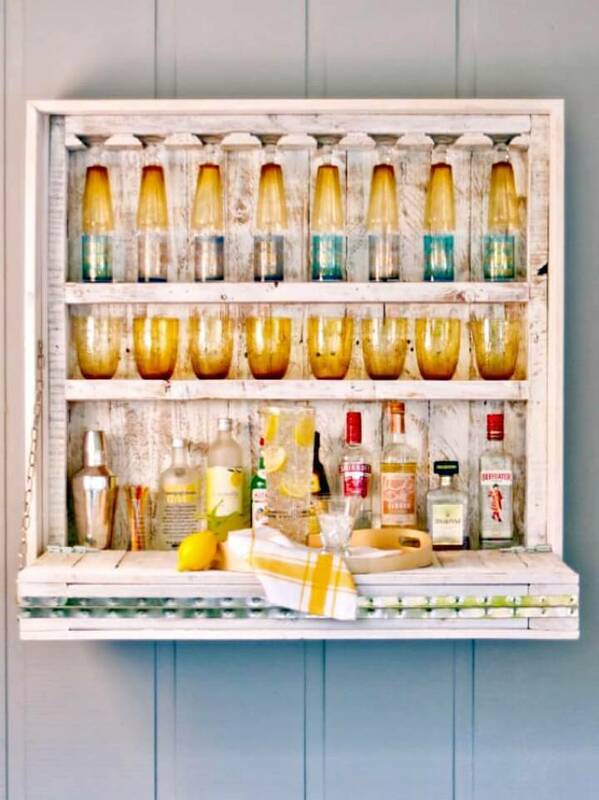 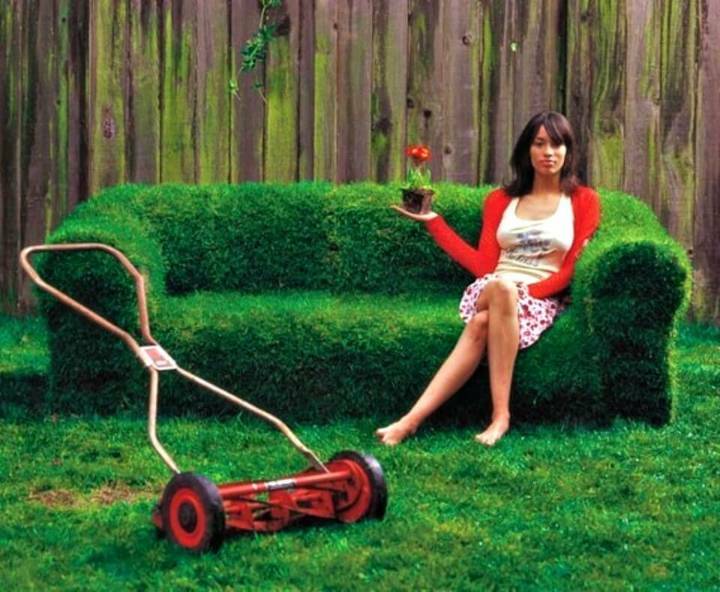 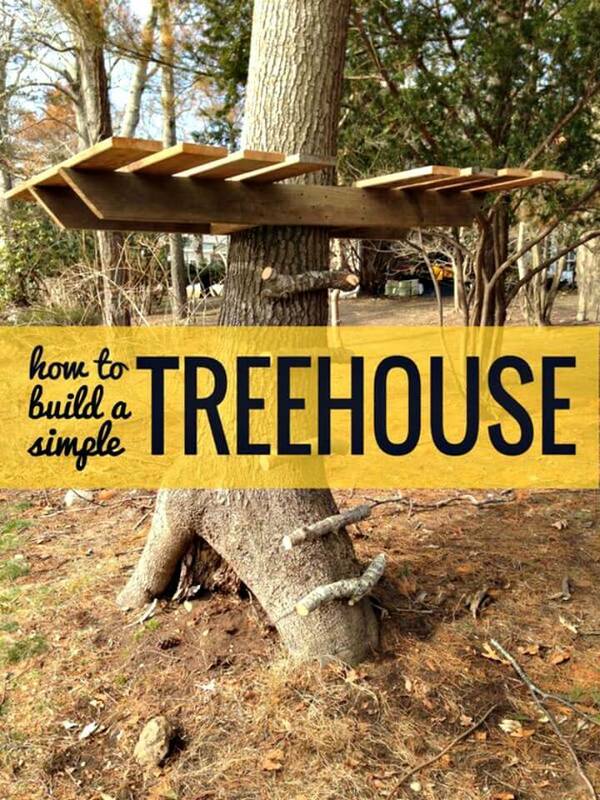 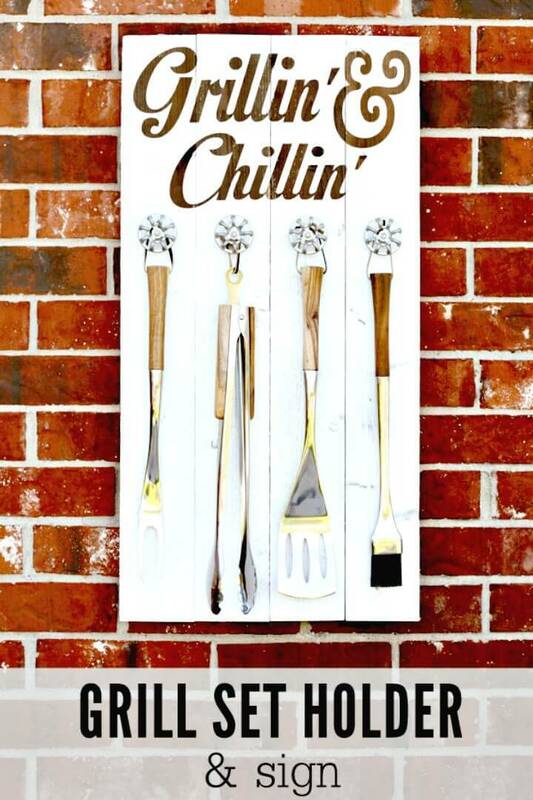 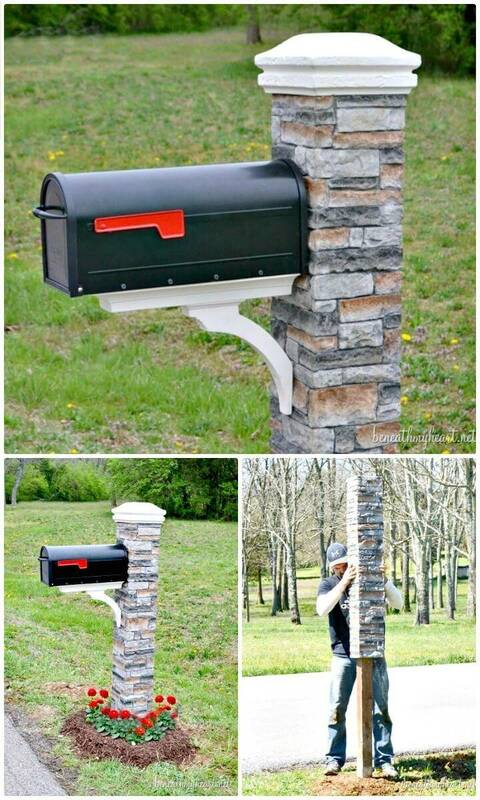 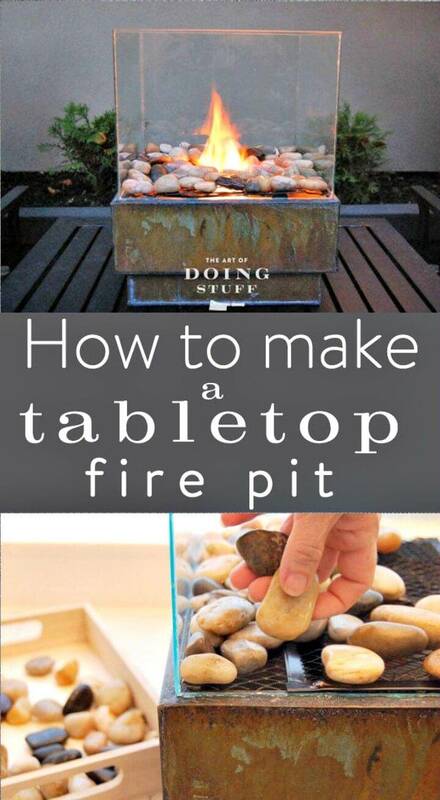 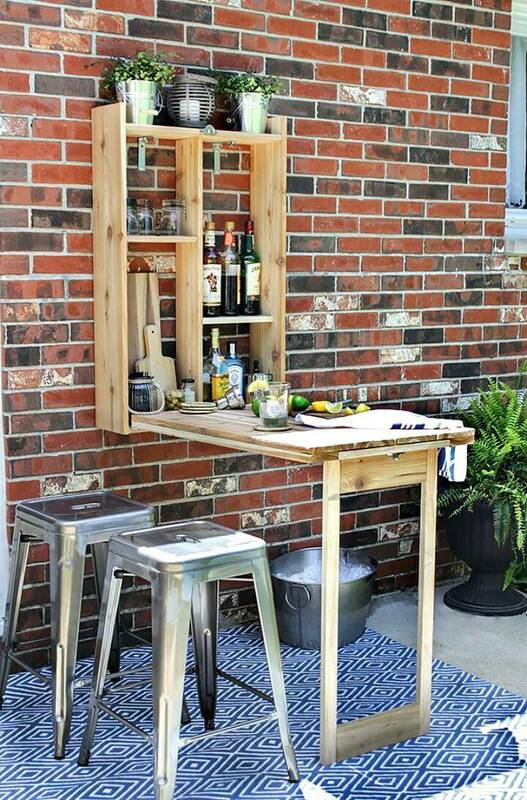 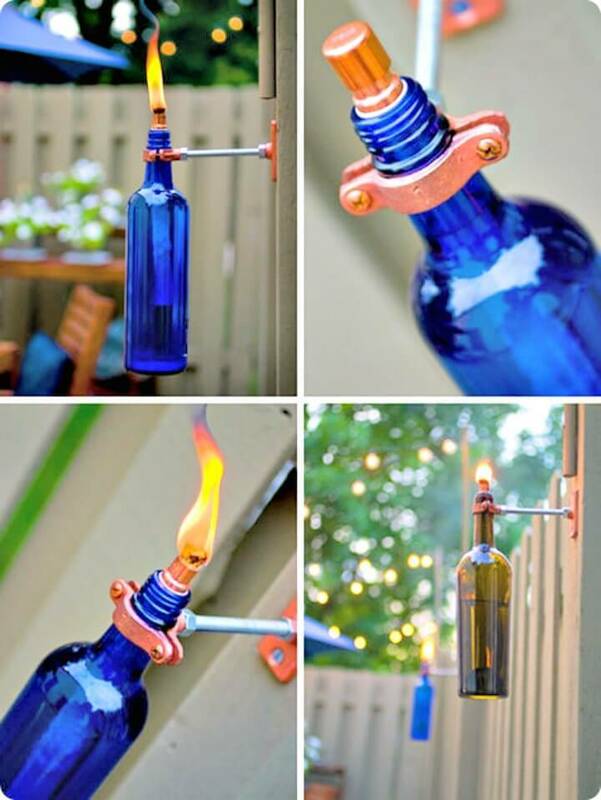 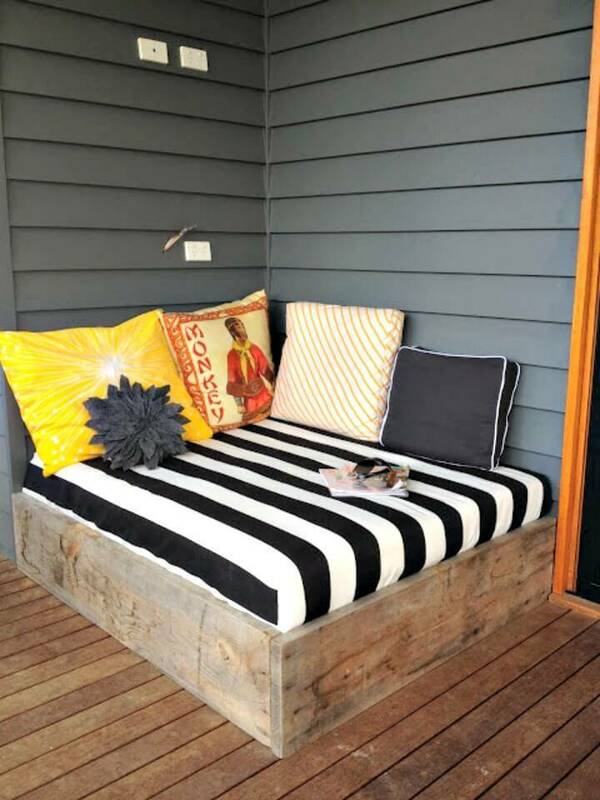 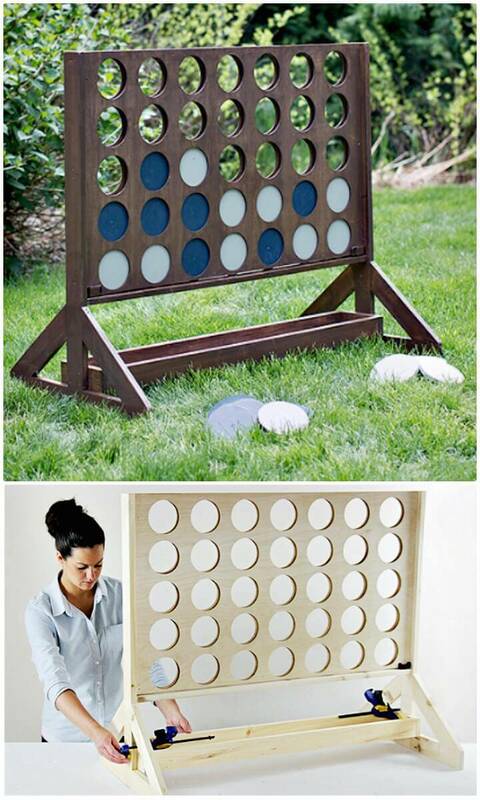 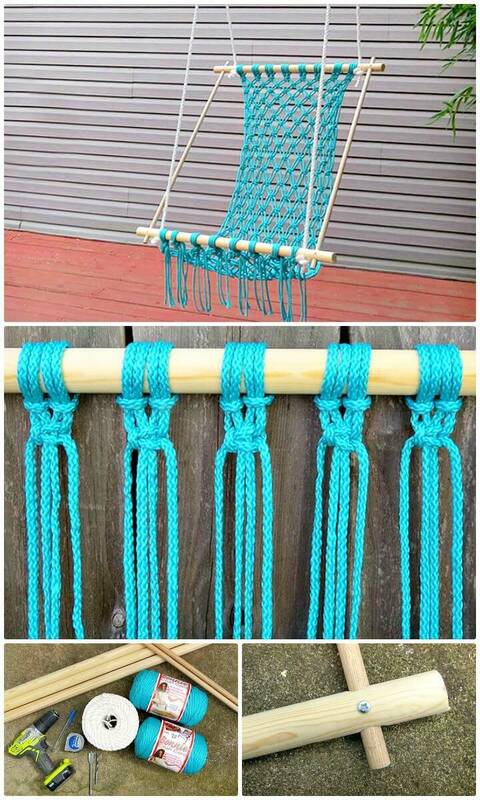 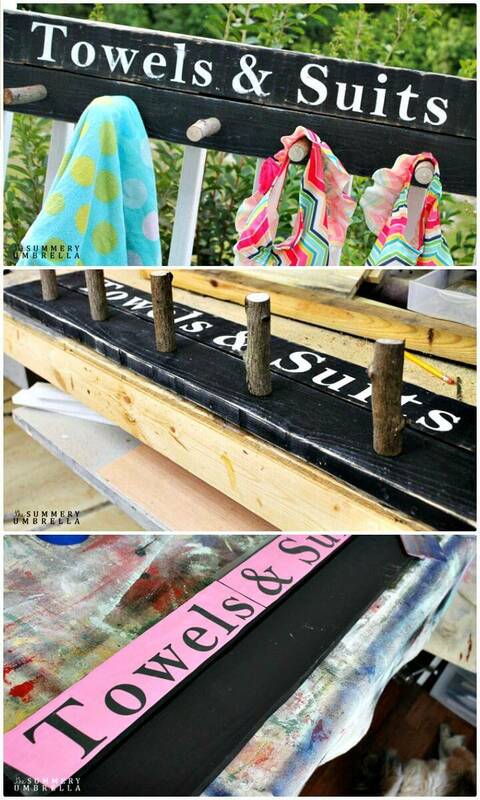 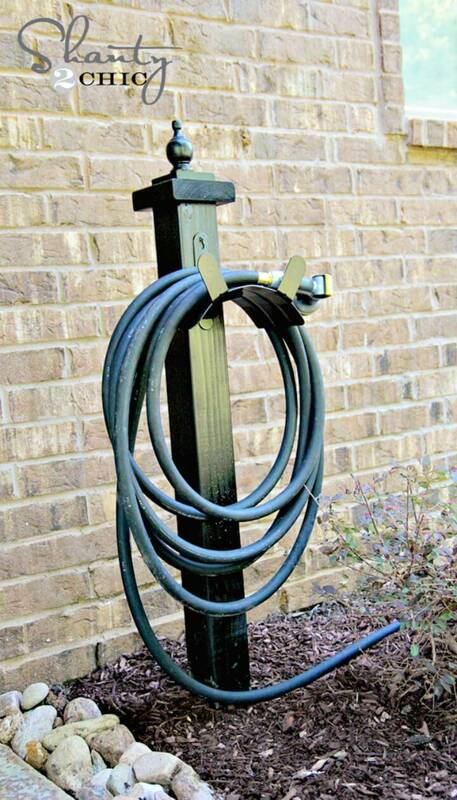 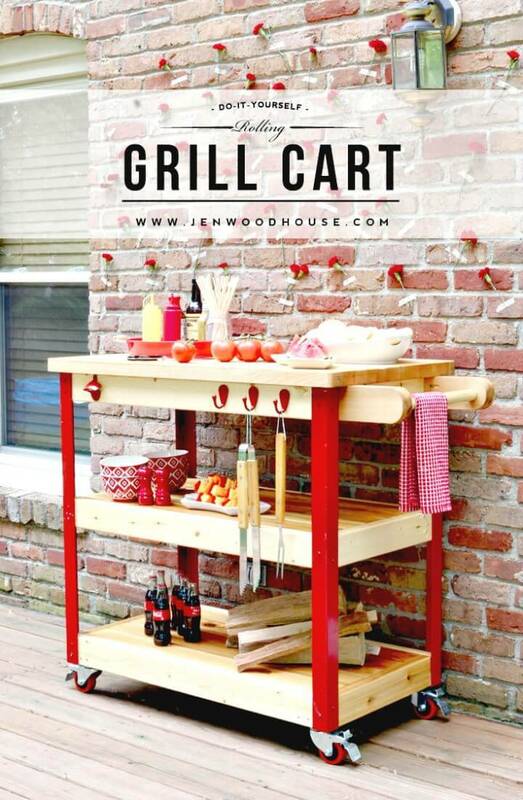 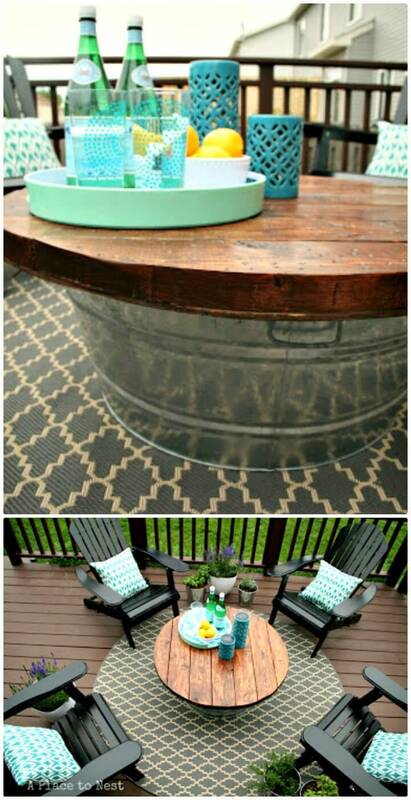 Check out more exciting backyard furniture projects given below in the list! 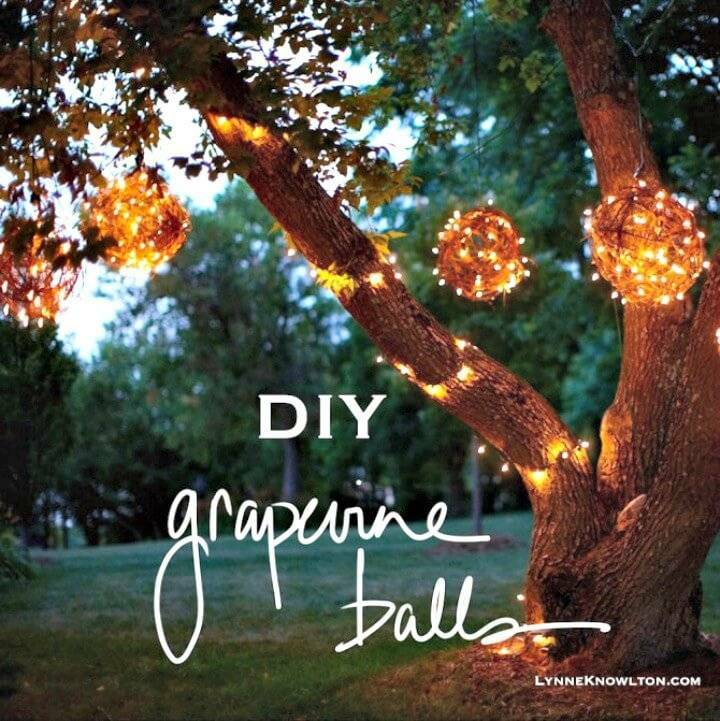 Next also adorn your backyard with grapevine hanging lights and also install custom fire pits in your backyard for brilliant family and friends gathering at night and also to enjoy the s’mores! 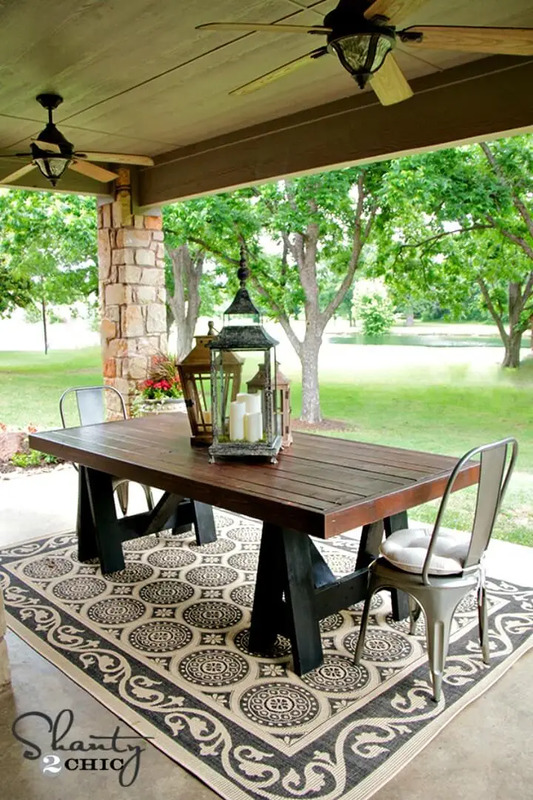 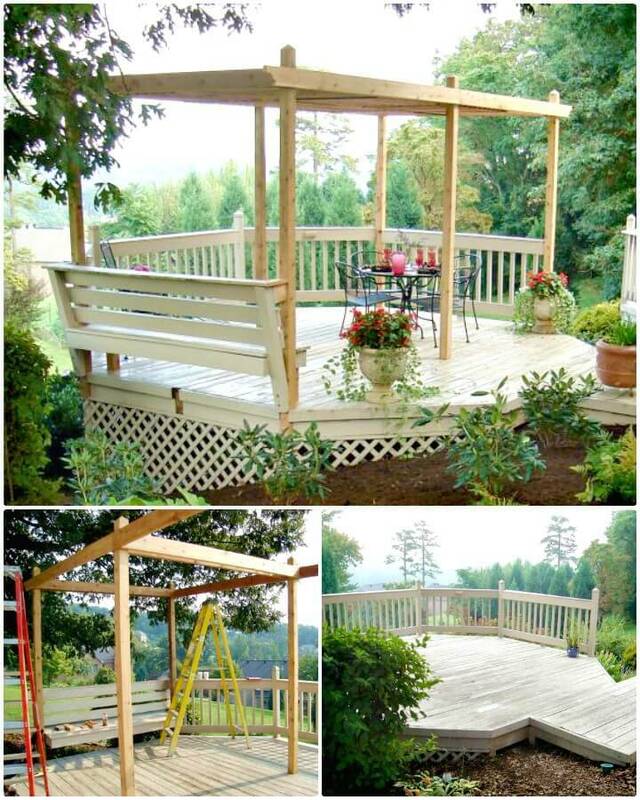 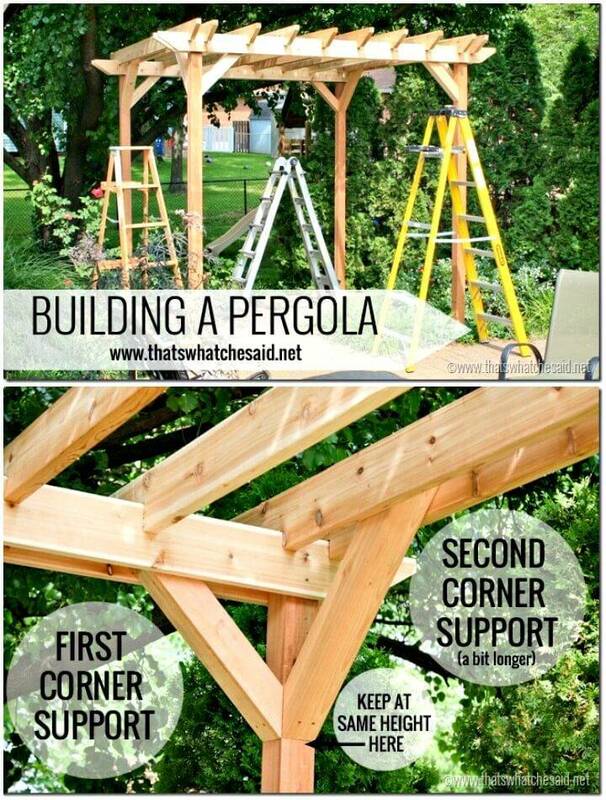 The list also has custom backyard improvement projects like to how to build a backyard deck, pergola and backyard flooring like a pro without causing any load on your wallet! 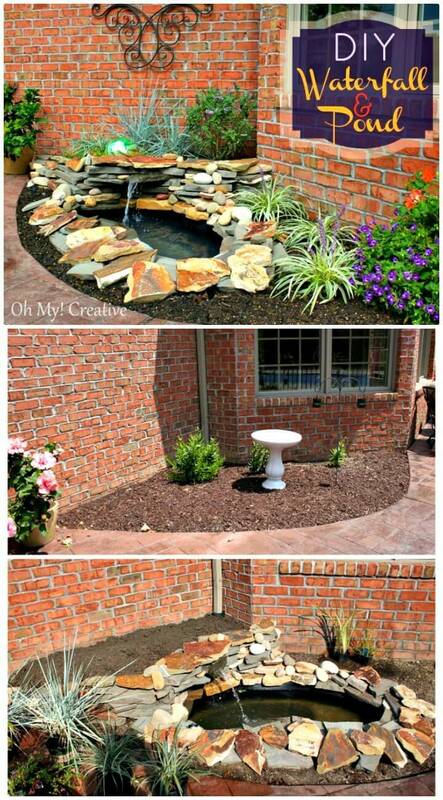 Moreover, you will also find great DIY backyard landscaping projects in this grand collection, an interesting sample project here is that how to install a pond in your backyard! 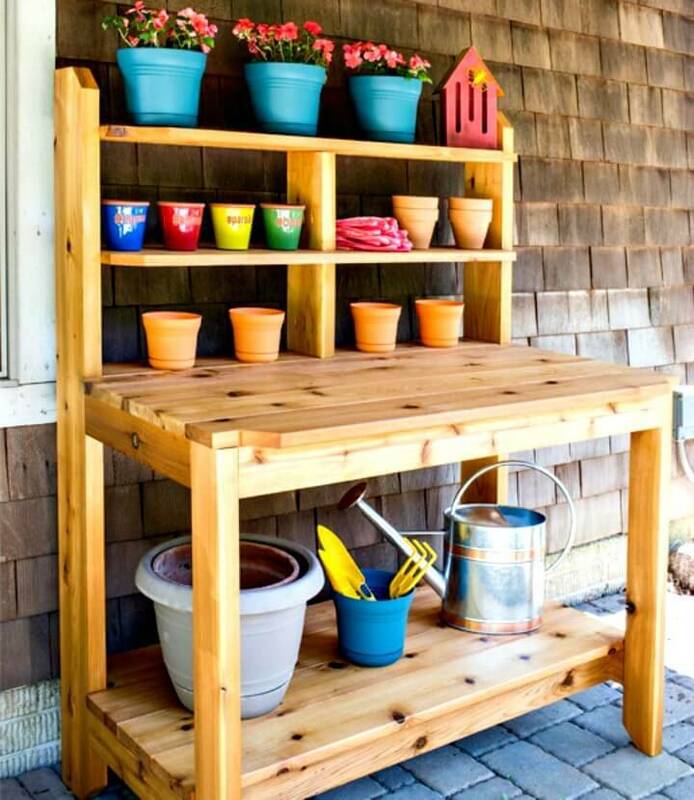 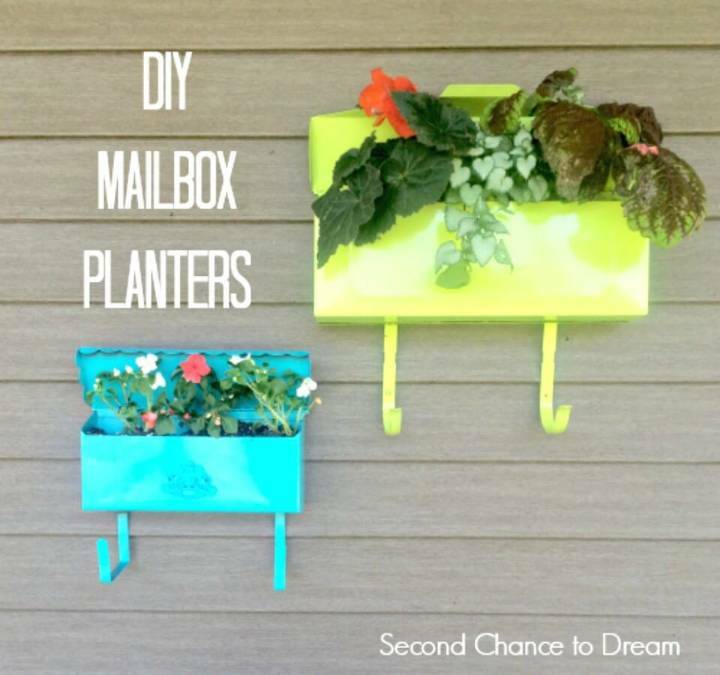 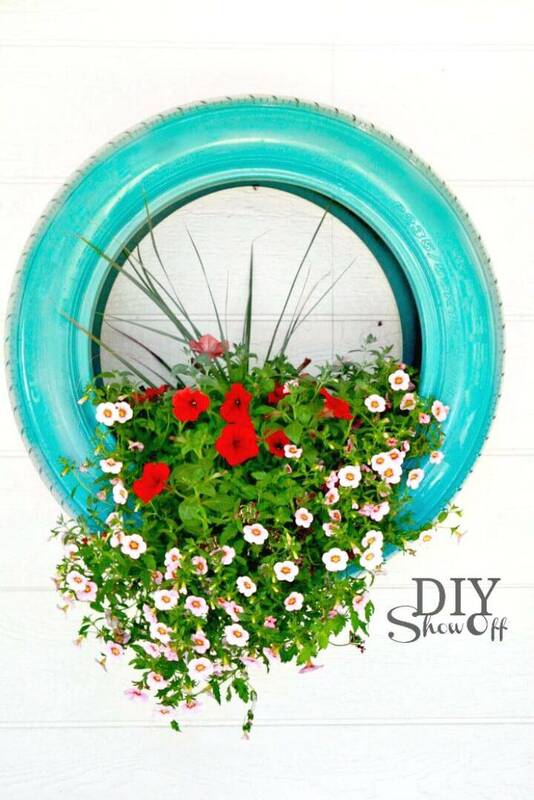 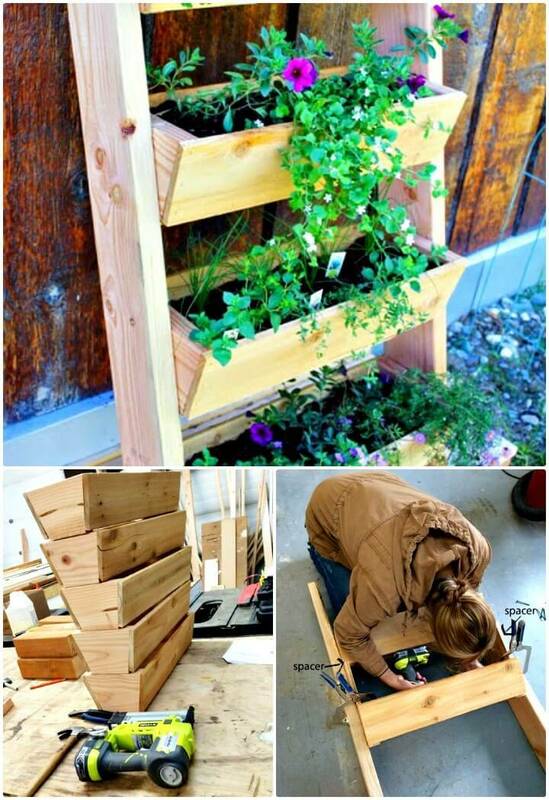 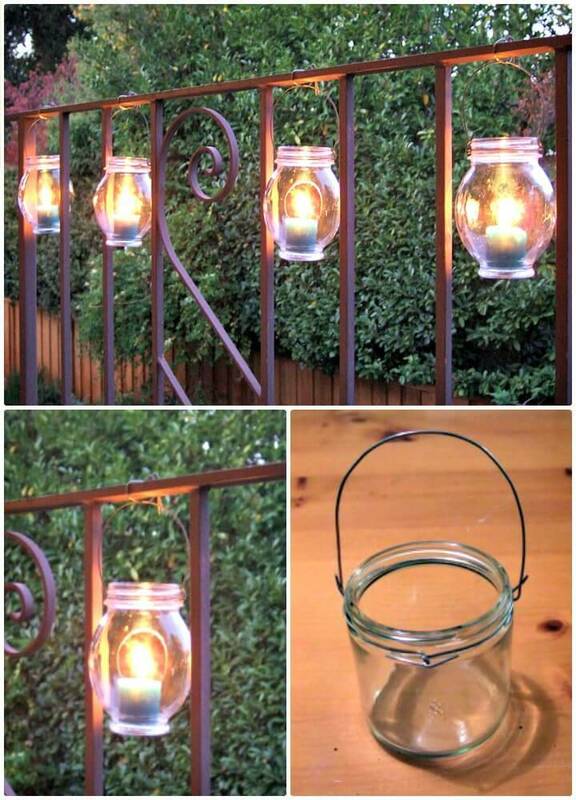 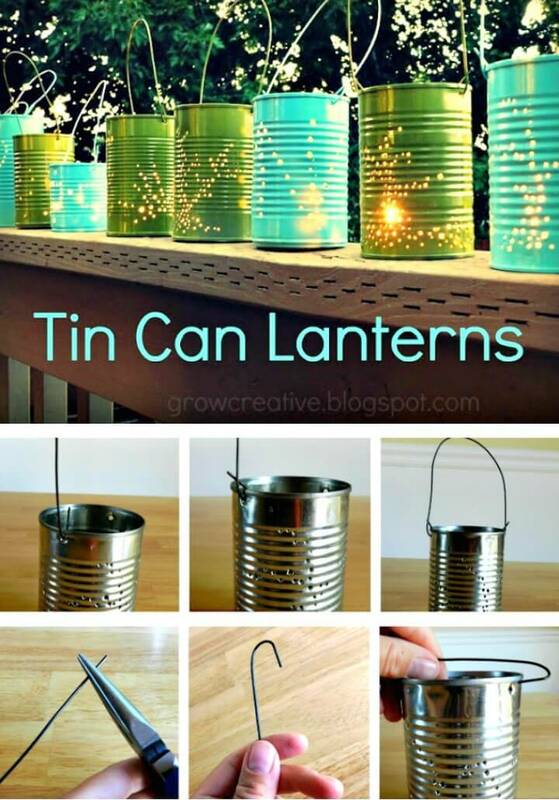 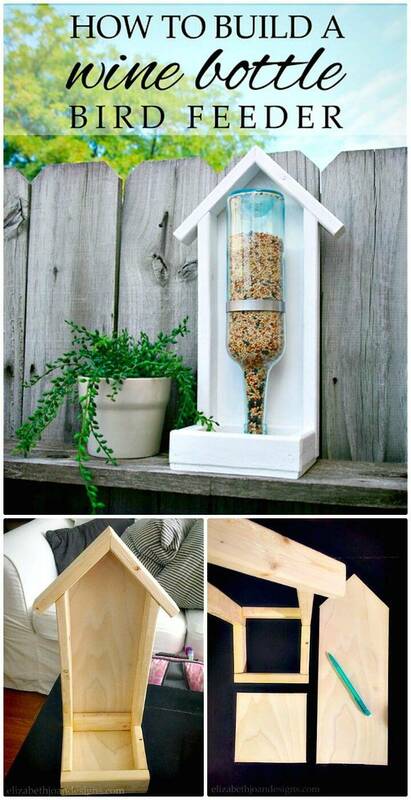 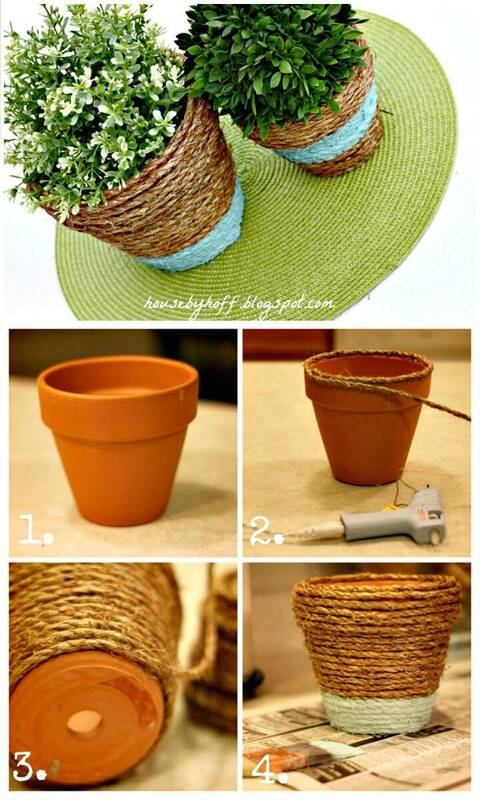 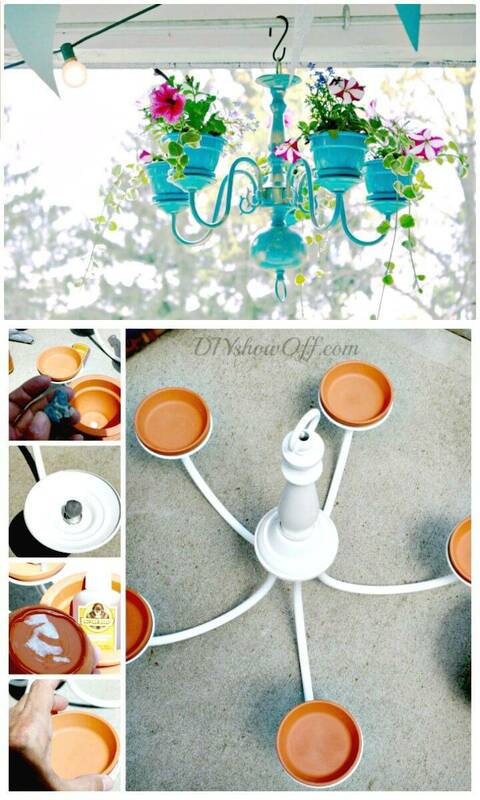 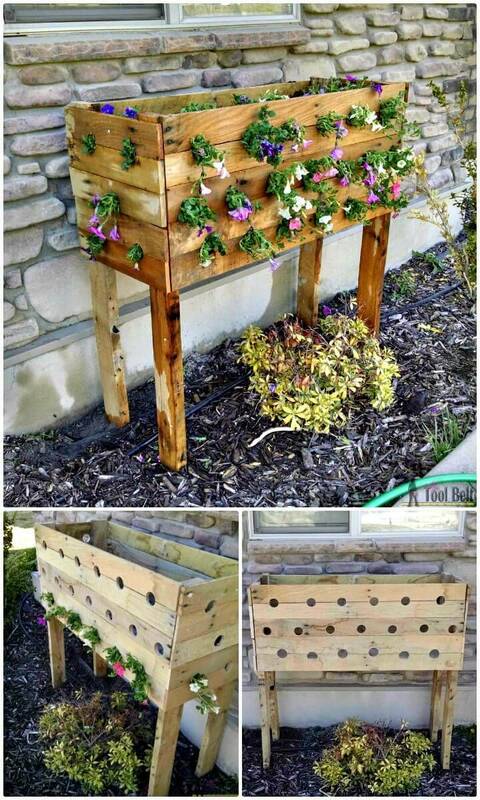 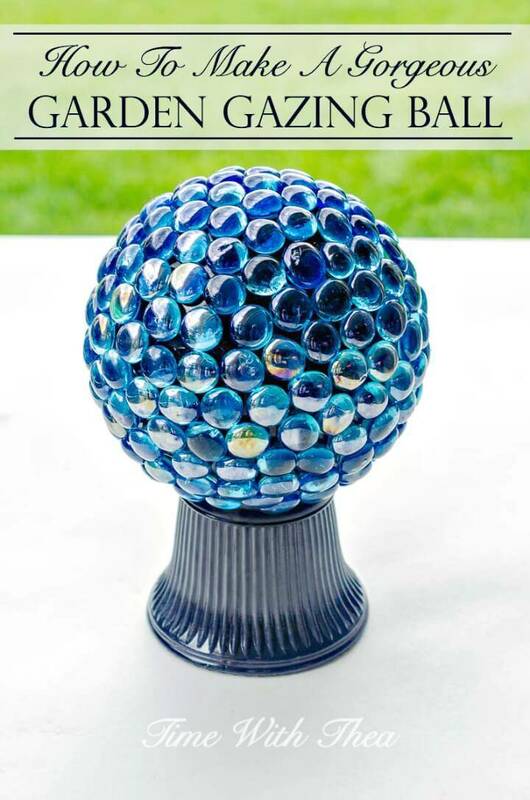 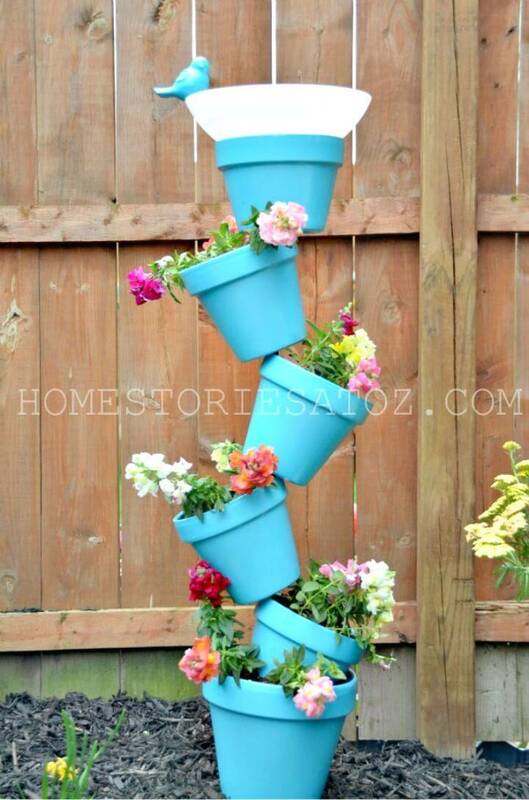 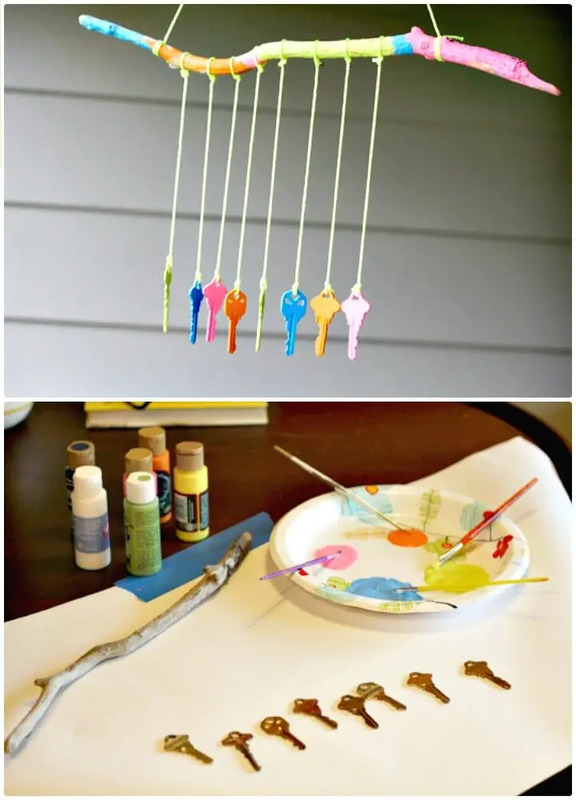 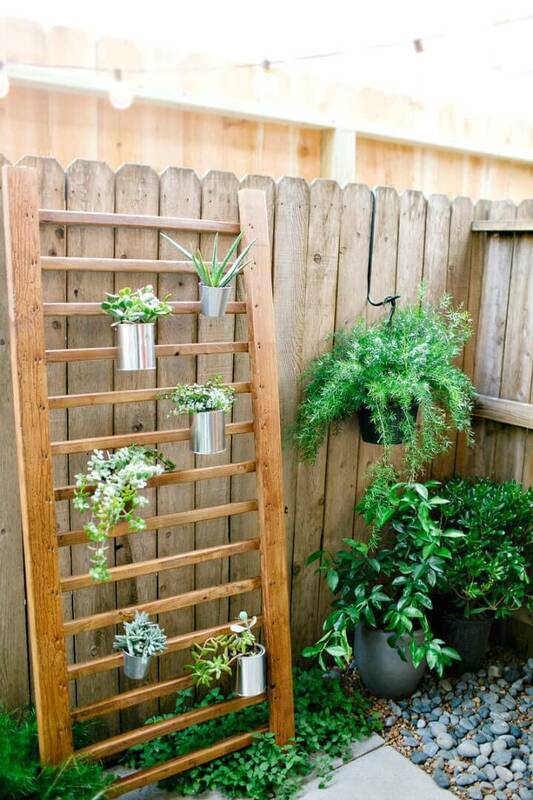 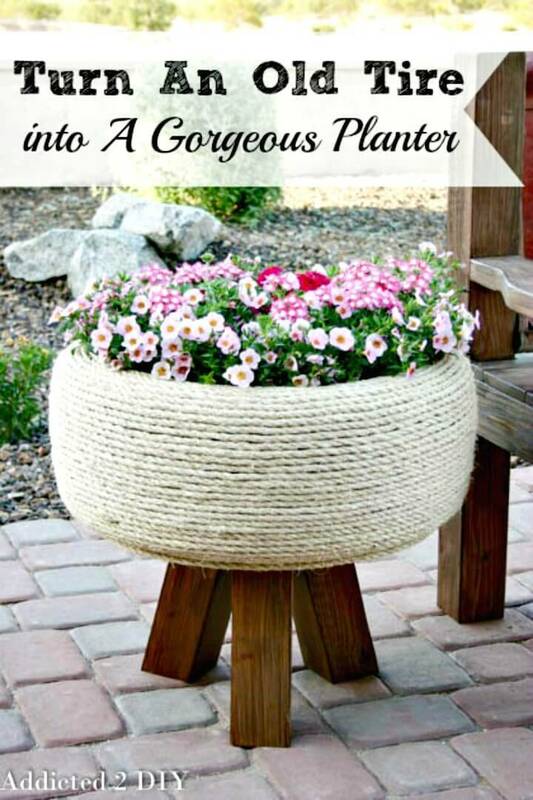 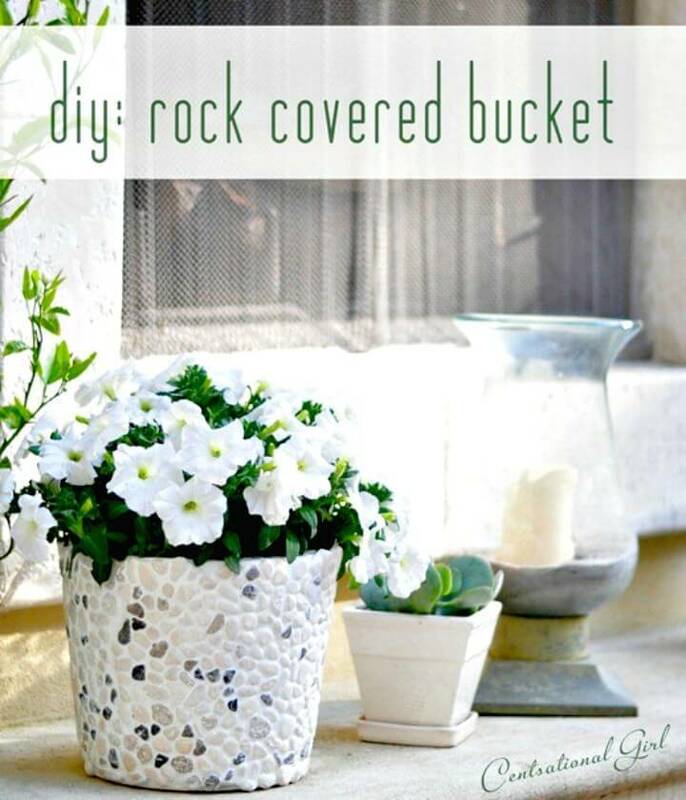 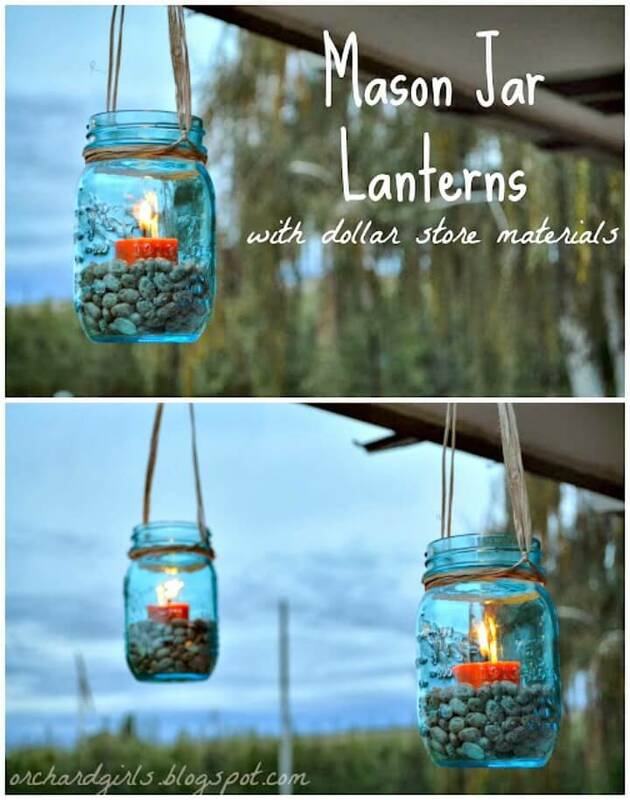 The list will also guide you that how to make attractive DIY garden planters, vertical gardens, and hanging chandelier planters at home that will add four moons to your backyard! 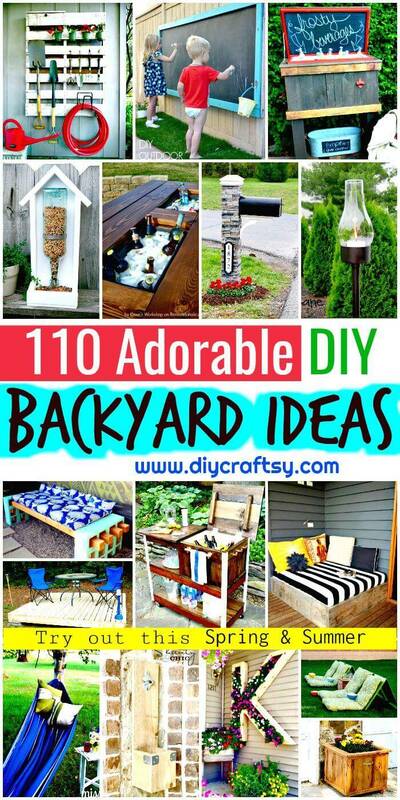 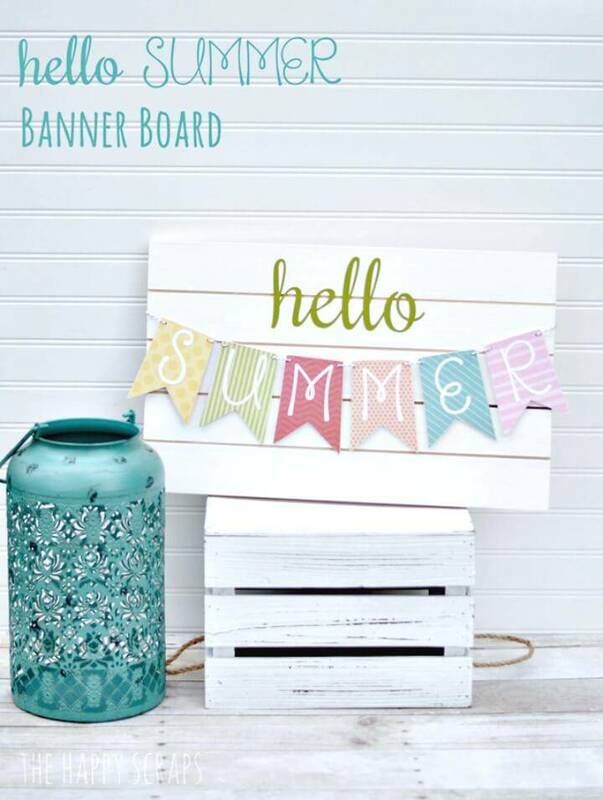 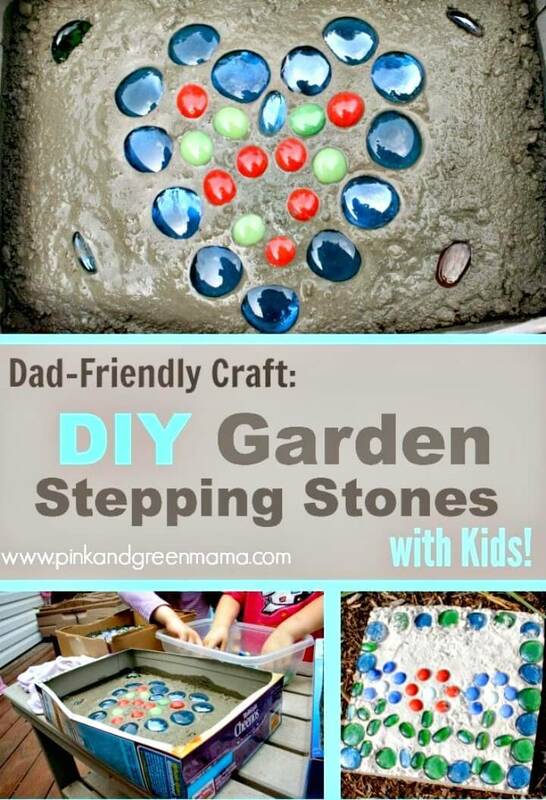 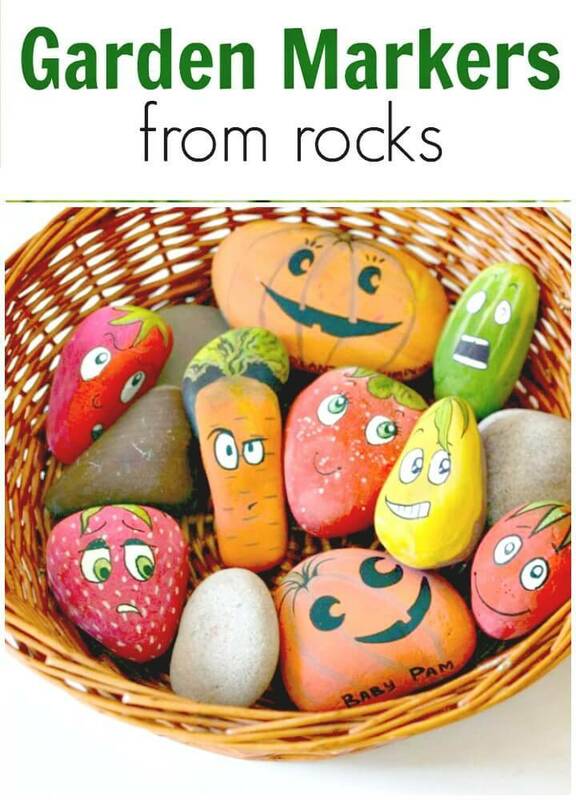 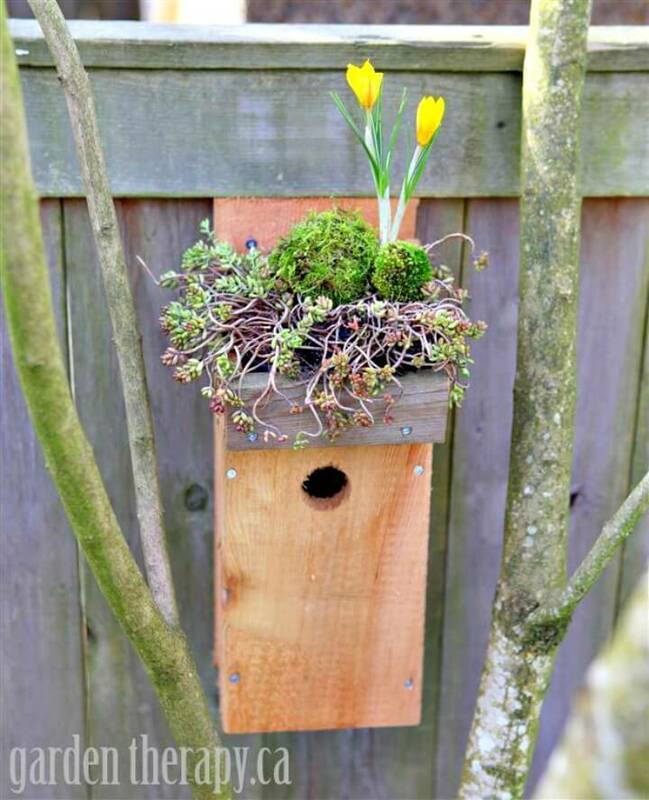 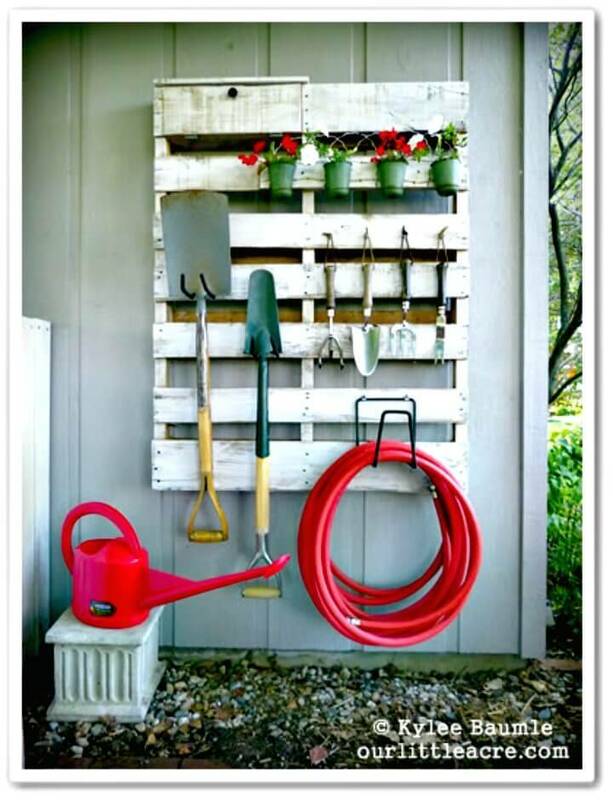 In short, this collection of DIY backyard ideas & projects are just having all that you need to learn about making your backyard a lovely and heavenly space! 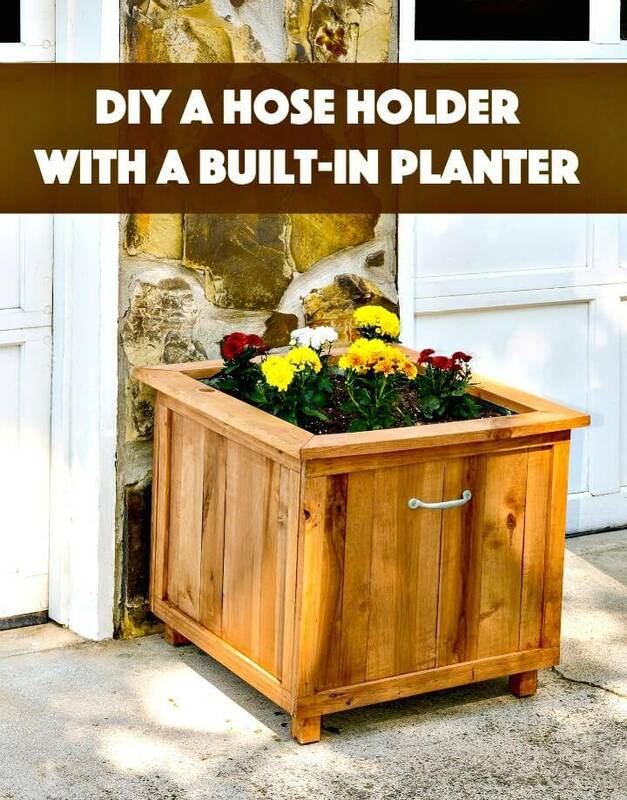 Don’t forget to visit the respective pasted links for the complete tutorial and visual instructions for each listed project!